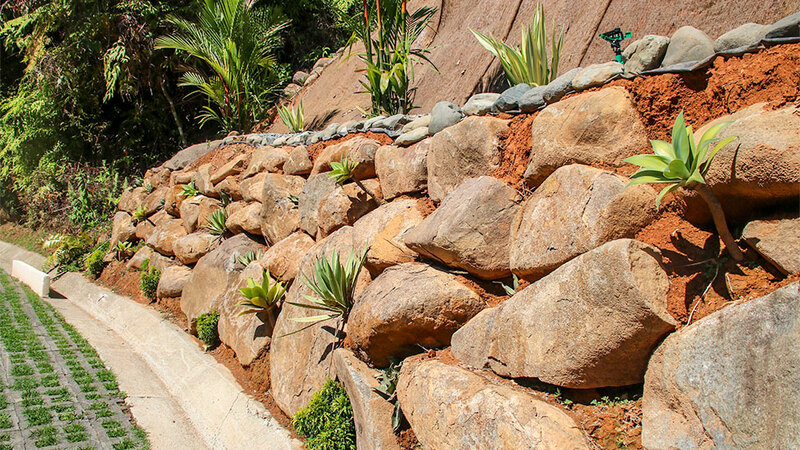 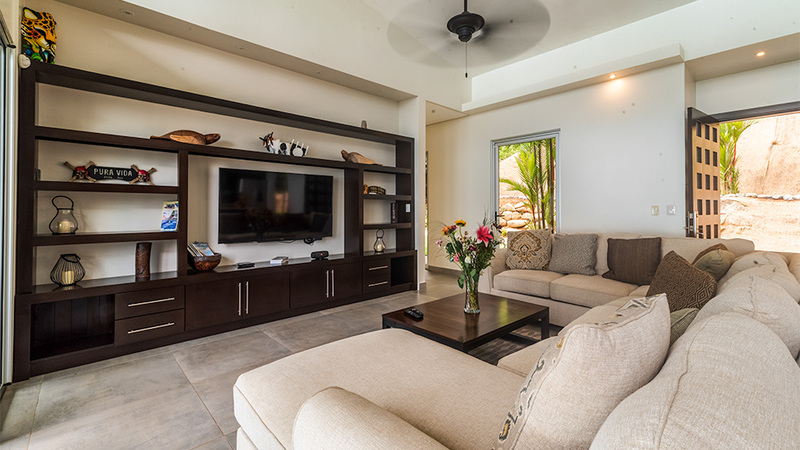 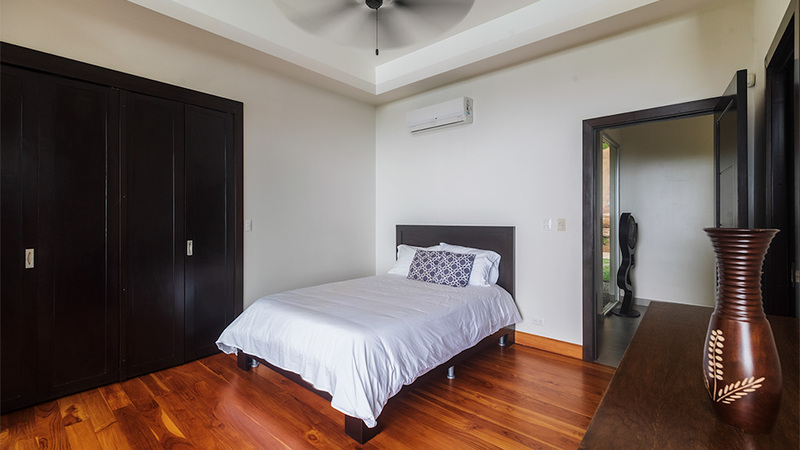 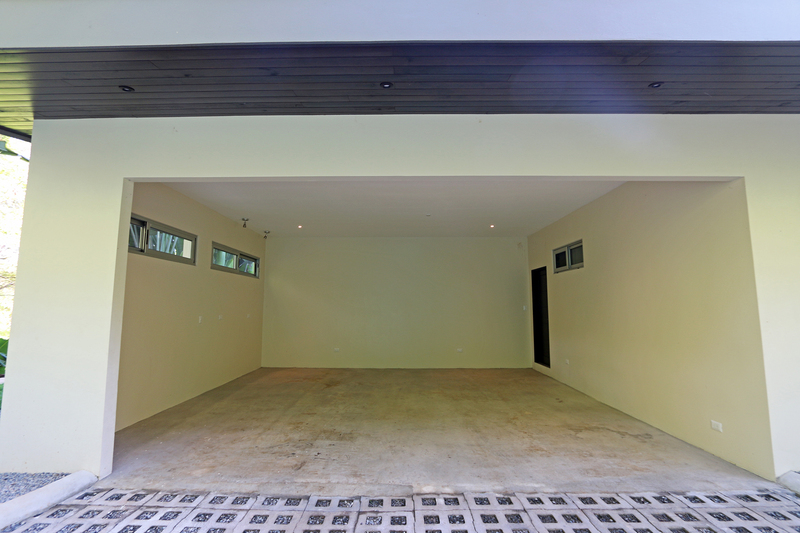 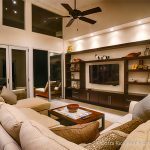 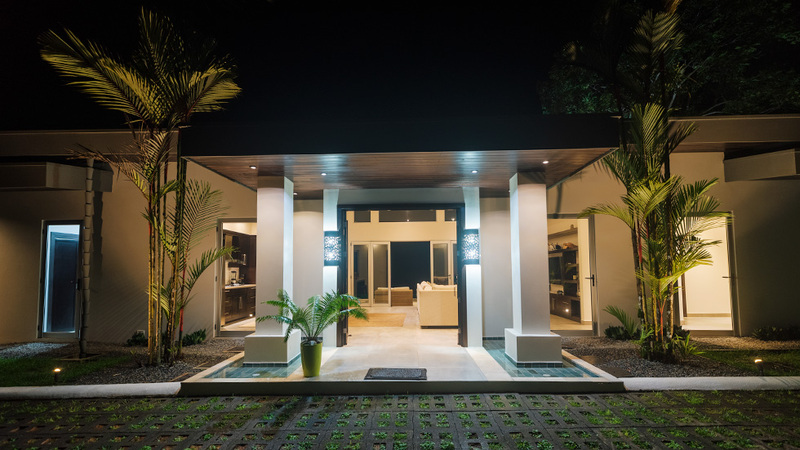 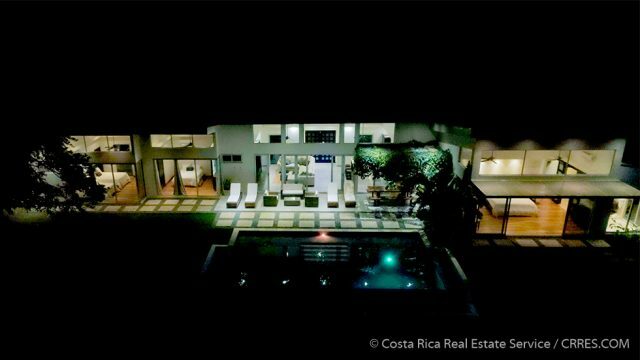 This single level, luxury home was recently built in 2015 and it features a prime location in the upscale Escaleras neighborhood near Playa Dominical. 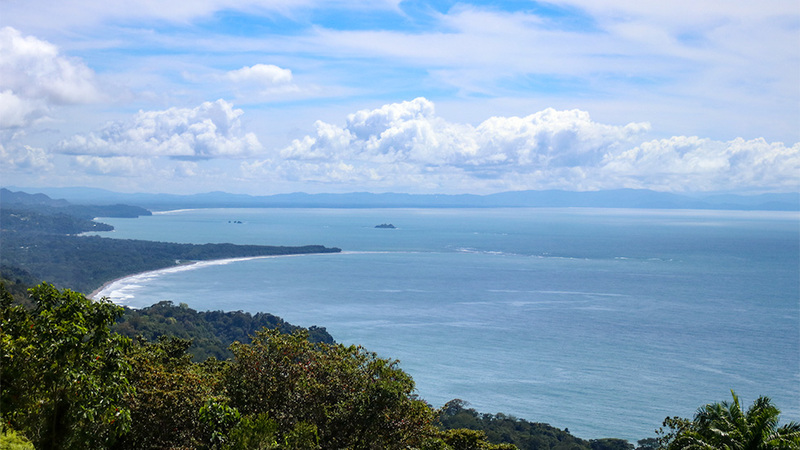 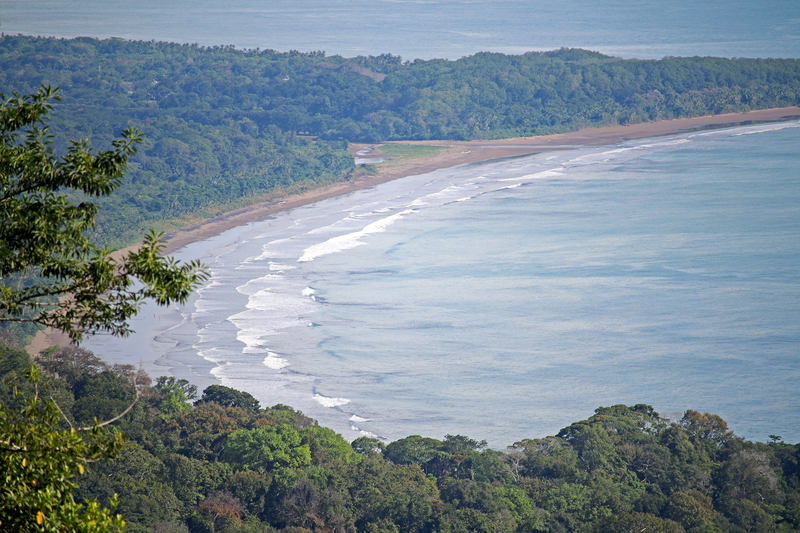 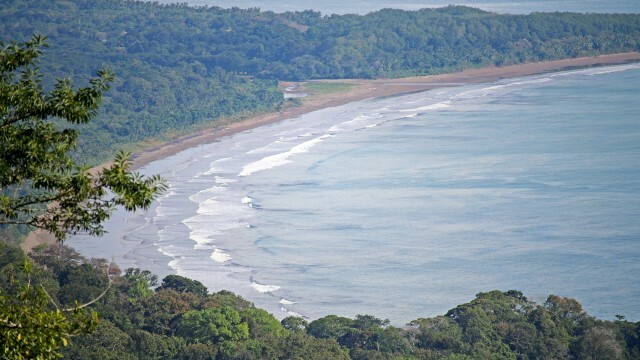 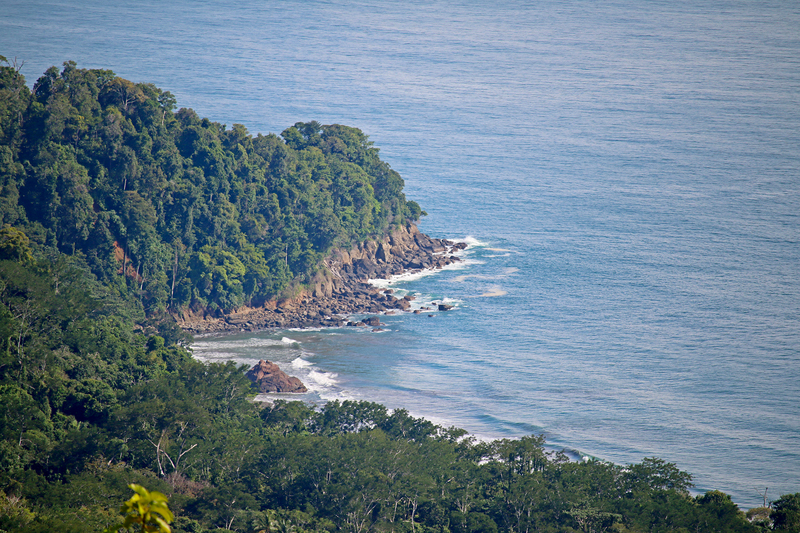 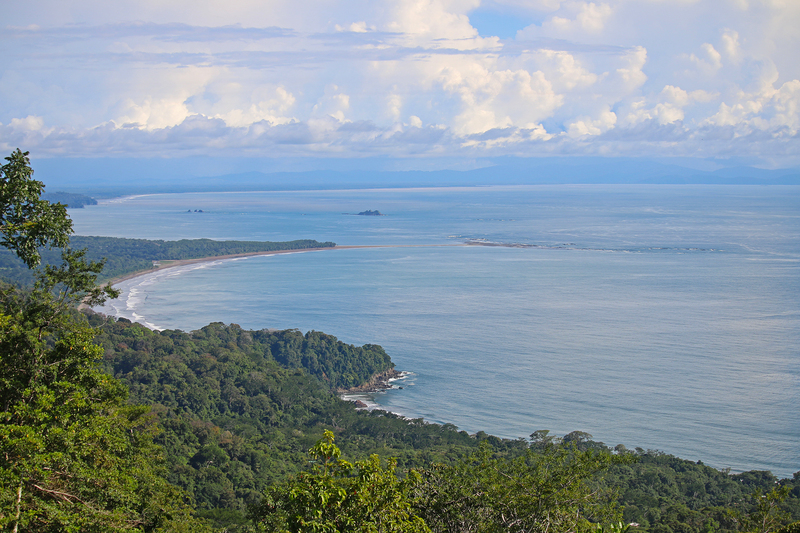 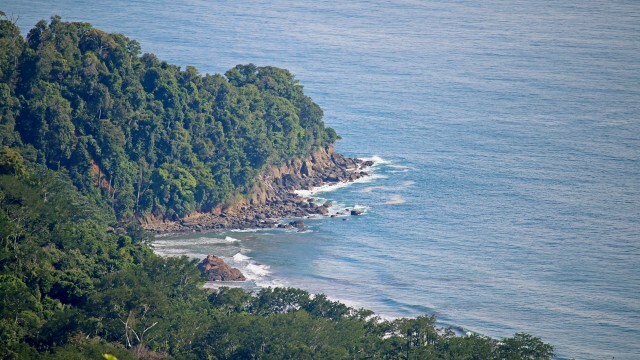 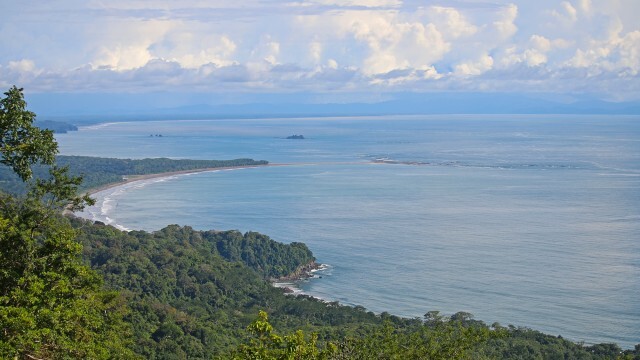 A quick 5-minute drive down the mountain will take you to the main coastal highway where you will be able to access the tropical beaches around Dominical and Uvita. 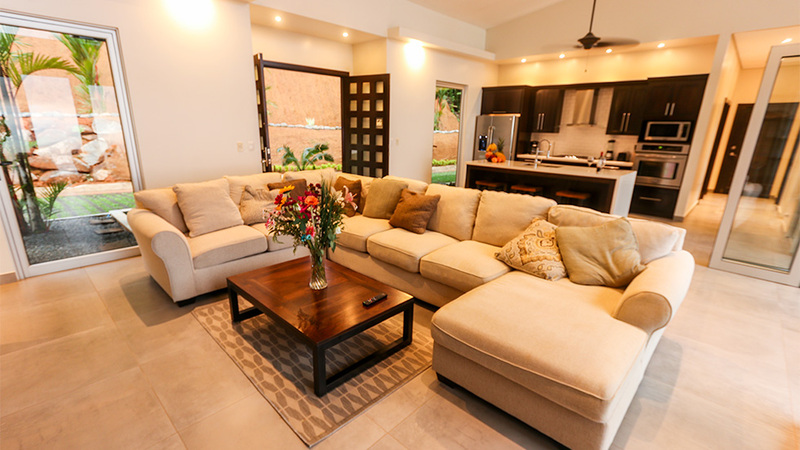 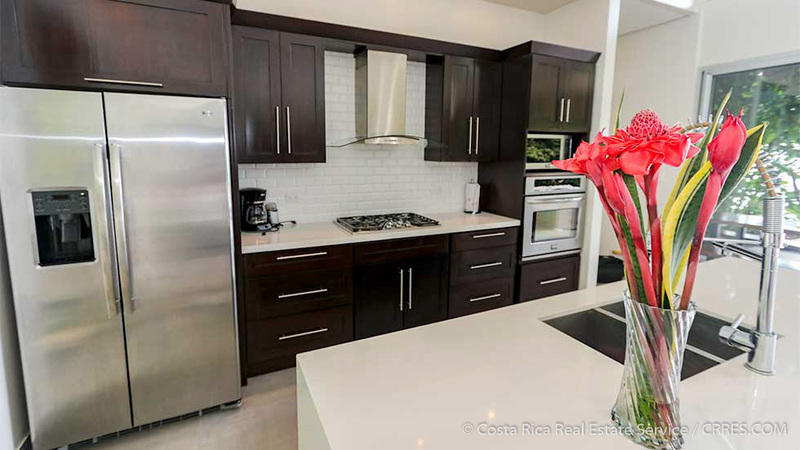 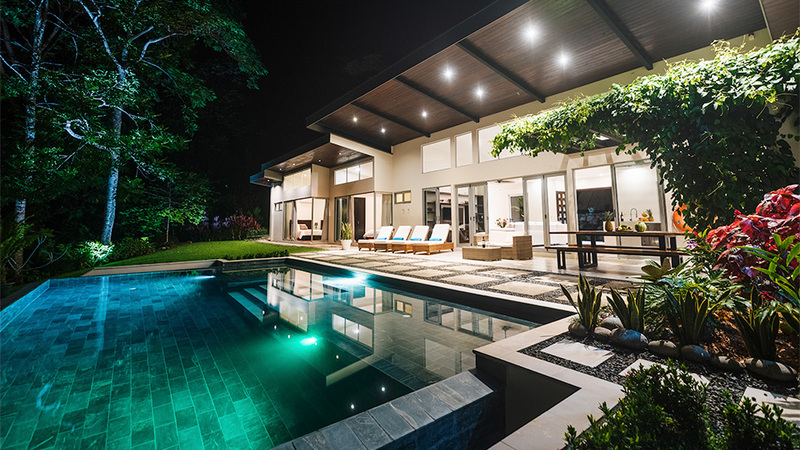 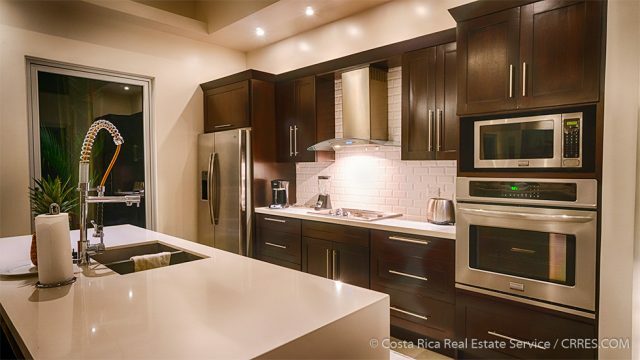 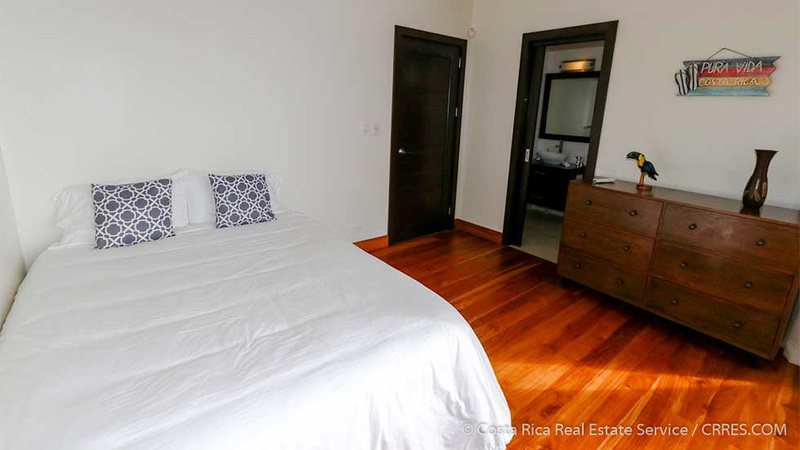 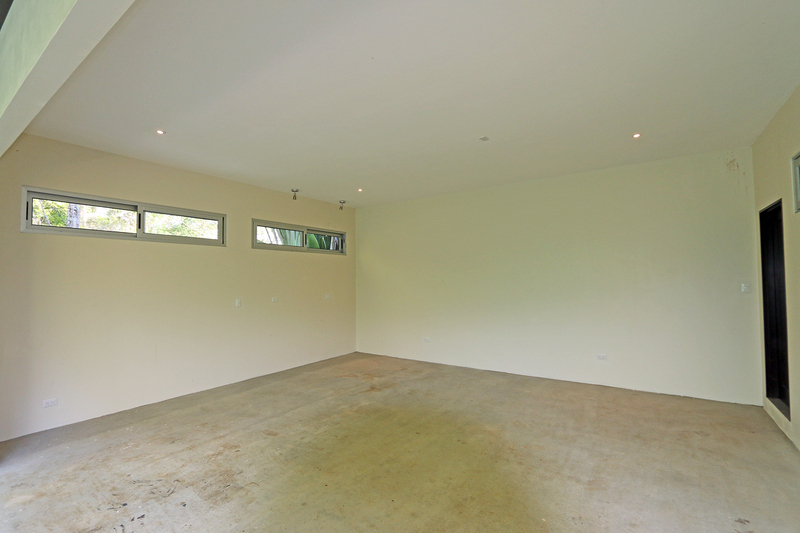 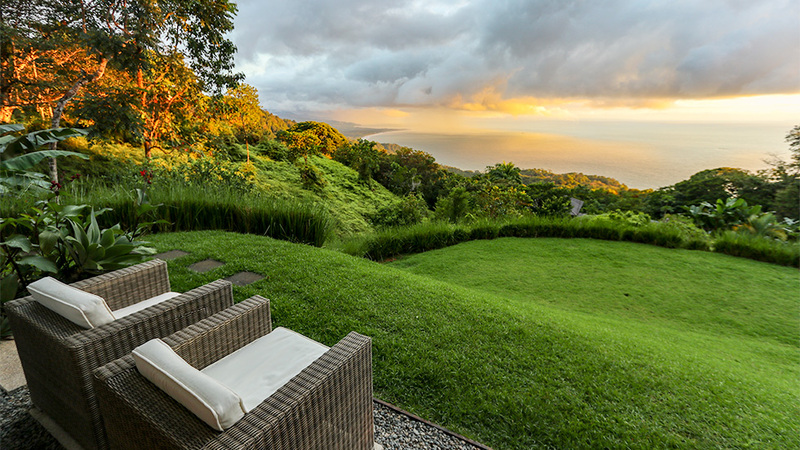 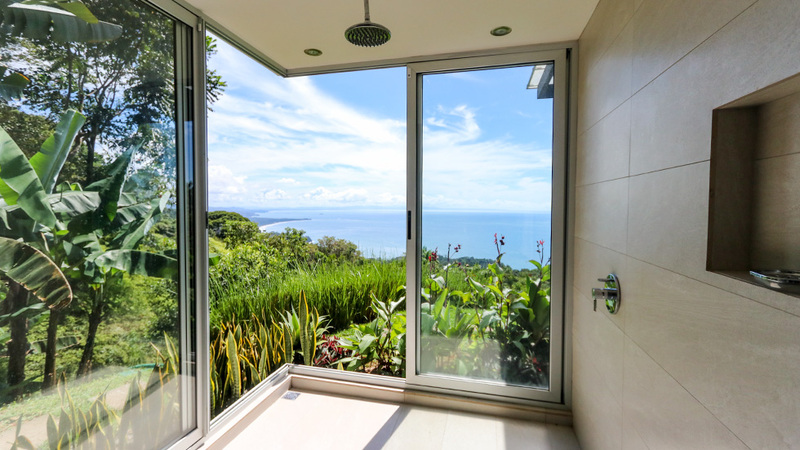 As we have mentioned time and time again on our website, real estate in the Escaleras area is one of the hottest investments in Southern Costa Rica and this property features everything that makes owning a home here so desirable. 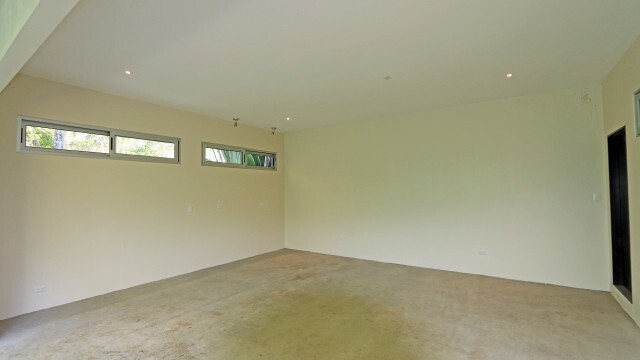 The construction (Inside 2,193 sq. 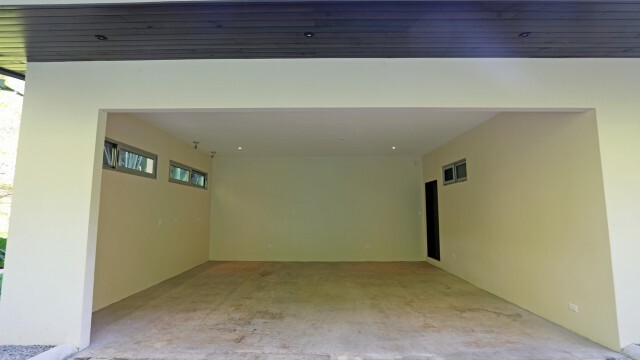 ft. / Outside 1,488 sq. ft.) on this beautiful home was brilliantly implemented utilizing high-quality materials and modern building techniques. 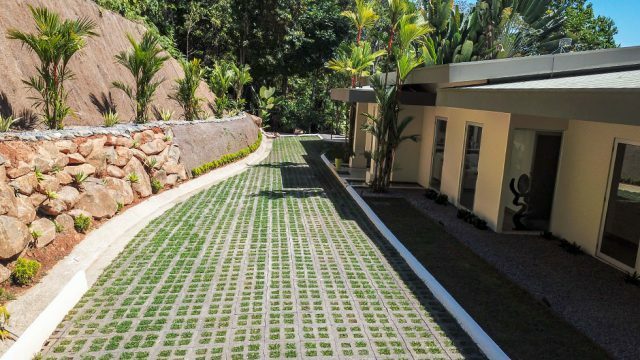 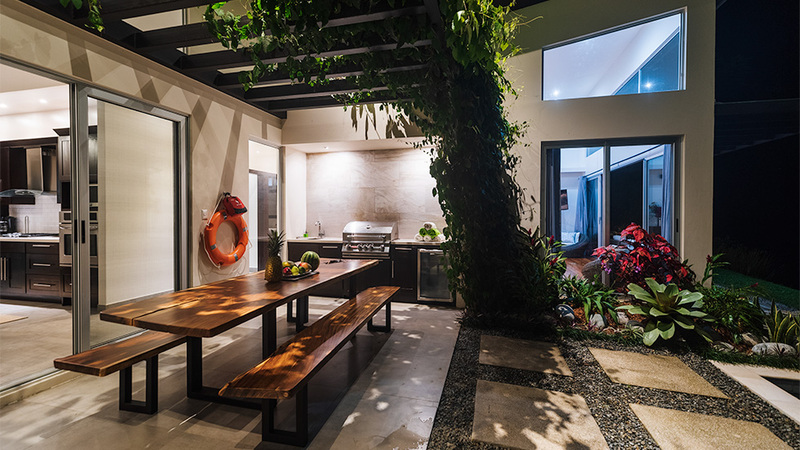 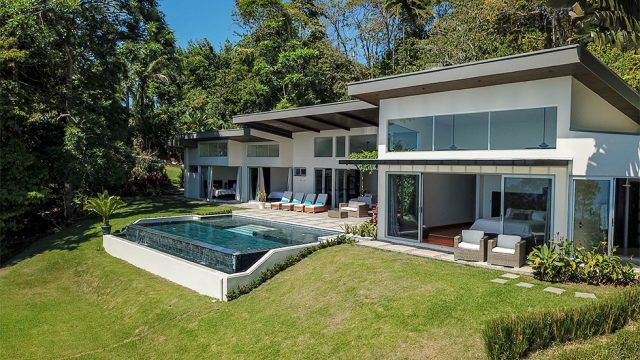 The main concept for the design was to enhance the incredible Costa Rican environment on the property and the end result hits the mark perfectly. 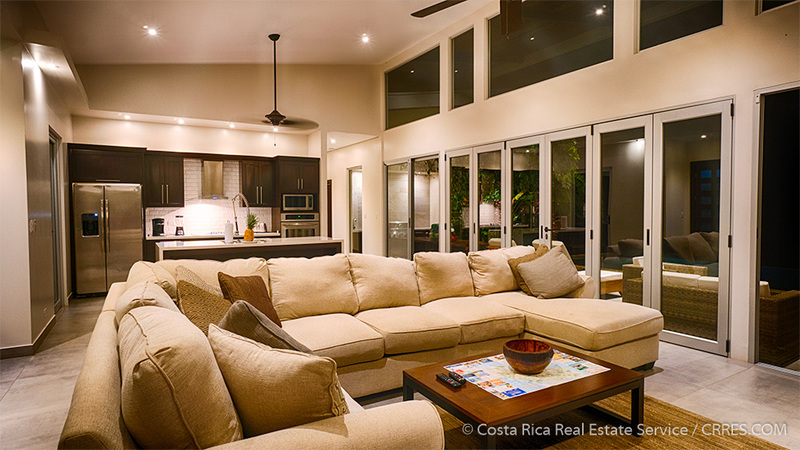 The home has a great flow with an open layout that creates a seamless marriage between comfort and pure luxury. 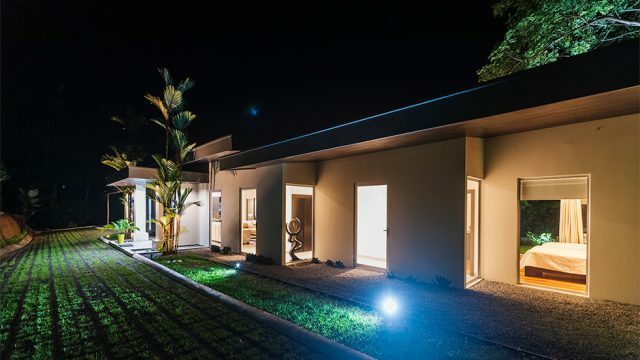 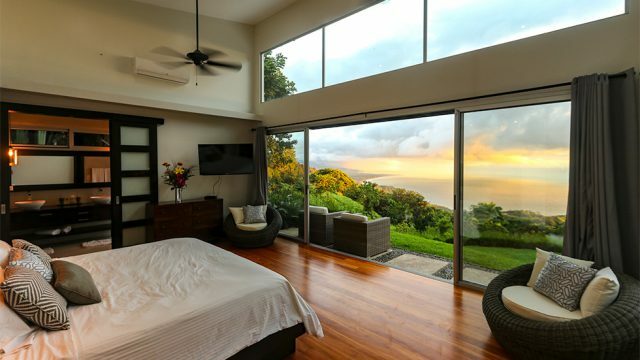 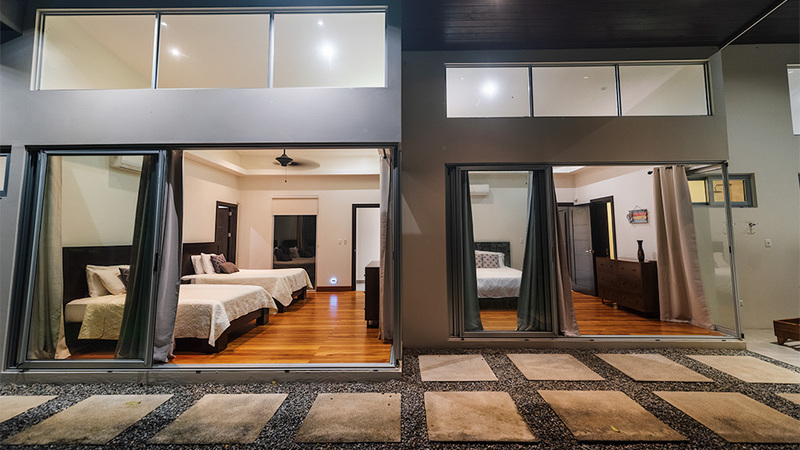 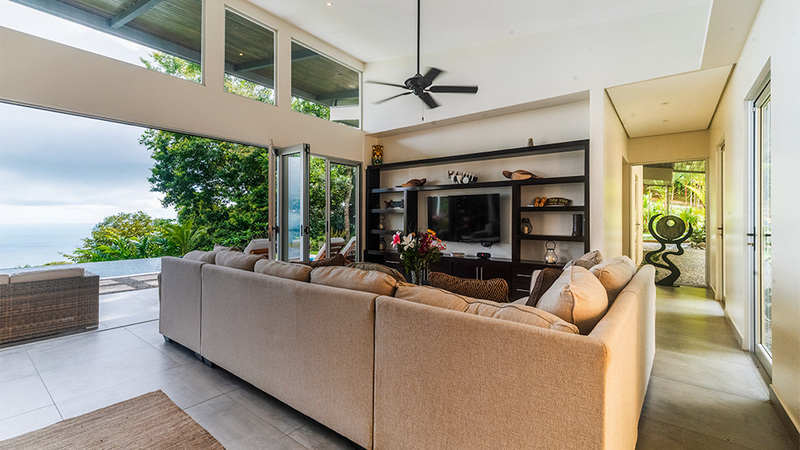 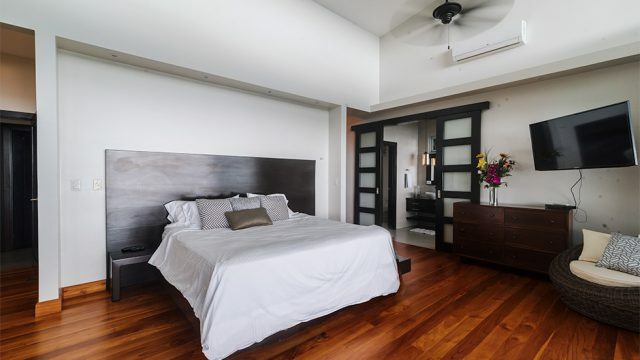 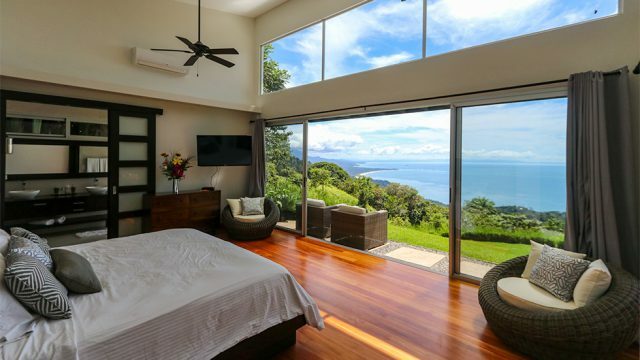 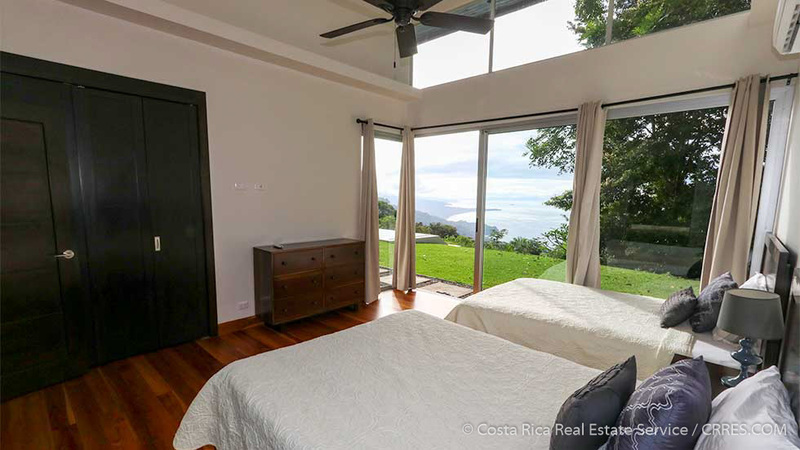 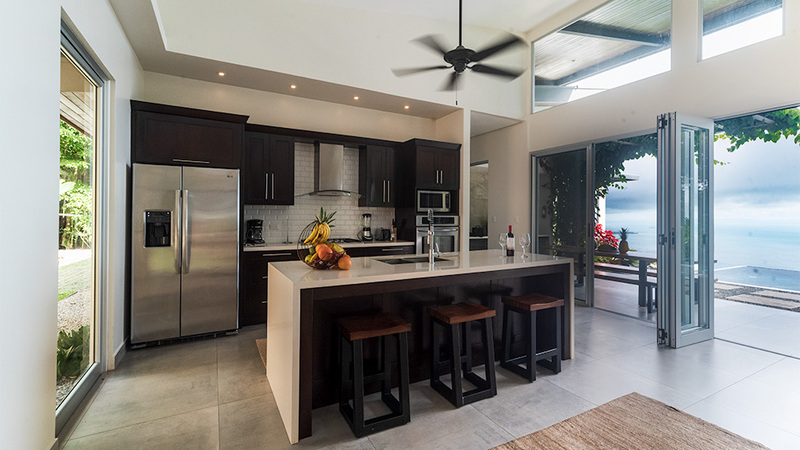 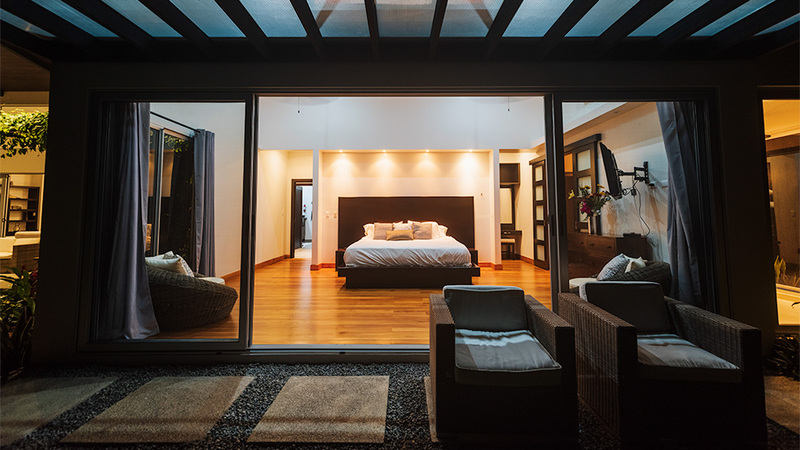 With vaulted ceilings, elevated windows and folding glass doors, each room can be completely opened up to the outside where guests marvel at jaw-dropping views of the rainforest covered coastline and the world famous “Whale’s Tail” reef formation at Marino Ballena National Park. 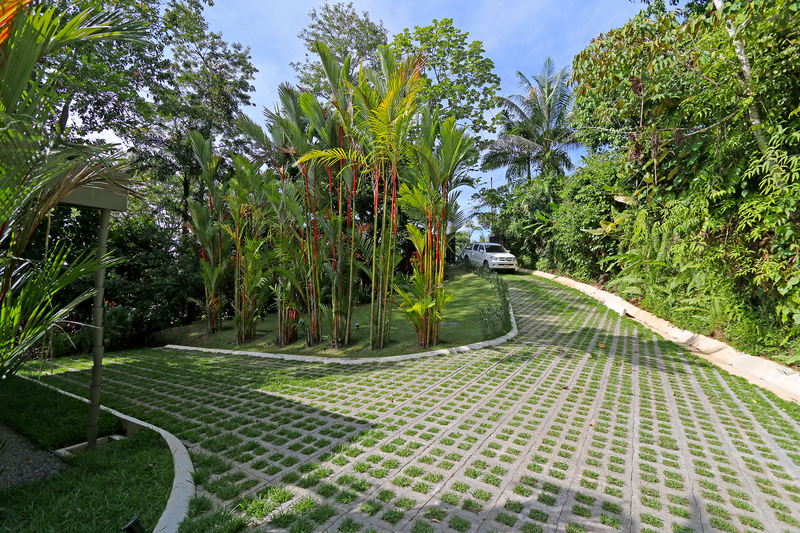 The home is privately set back off of the main road via a long driveway with an electronically controlled gate. 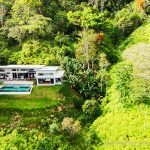 The property is impeccably landscaped with native tropical plants and as you tour the grounds, the sights and sounds of pure Costa Rica will completely envelop you. 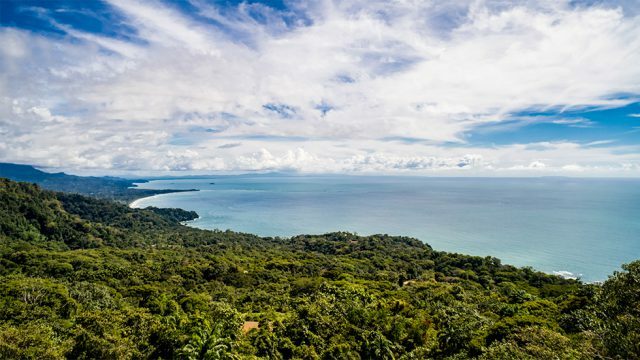 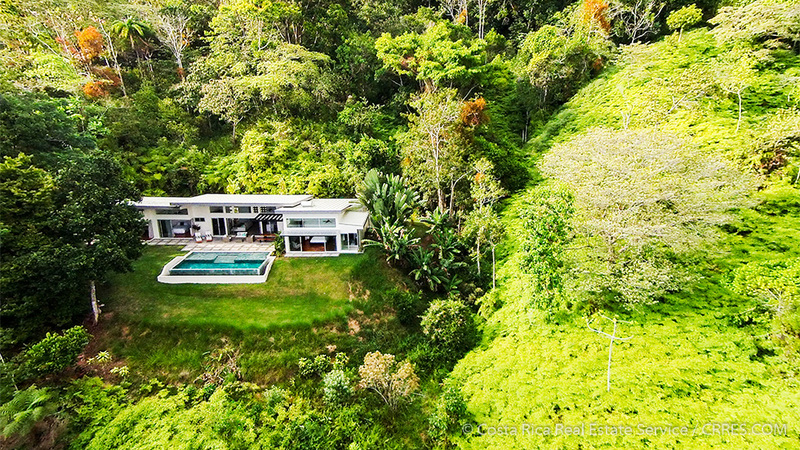 With dense rainforest directly bordering the property, you will listen to Howler Monkeys in the distance, watch white face monkeys leaping through the trees and witness colorful Toucans flying through the air. The heart of the home includes a gourmet kitchen, a half bath, and a living room that completely opens up to a covered patio with an infinity edge pool surrounded by a large green lawn. 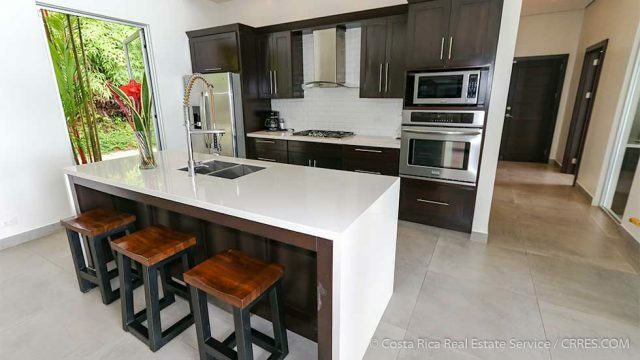 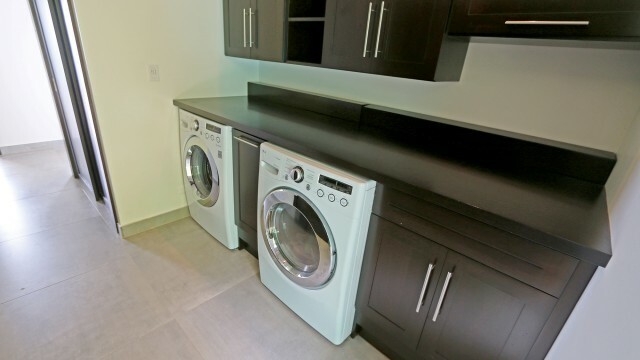 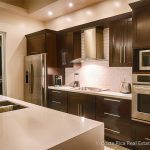 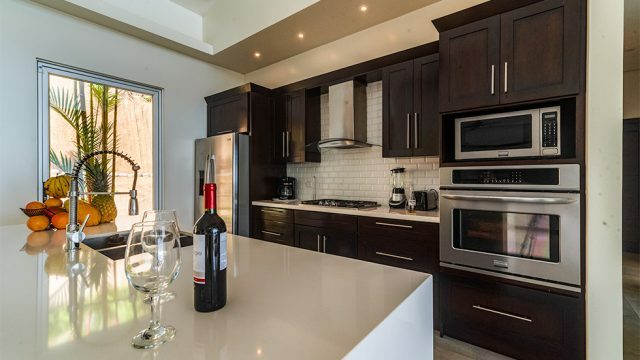 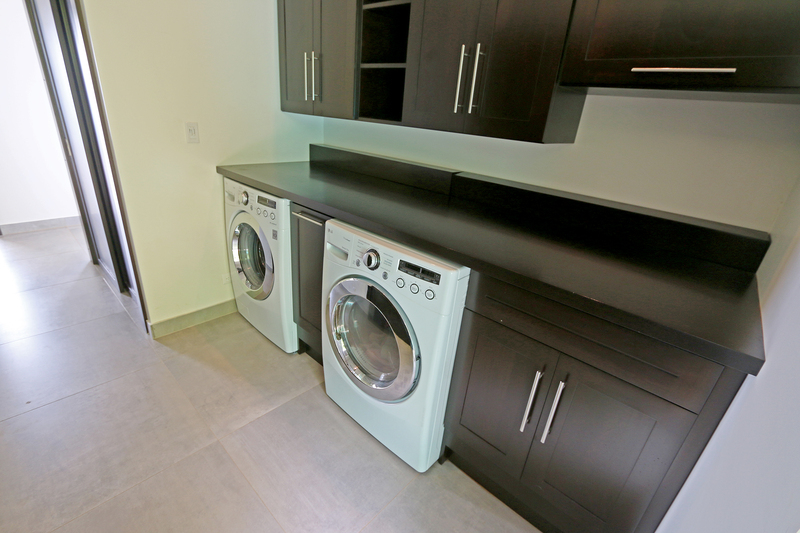 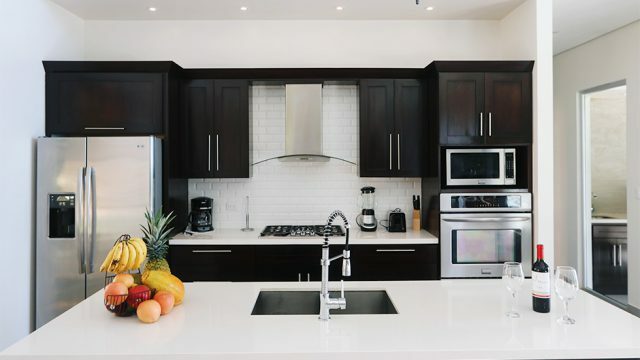 Finishes include Silestone Quartz countertops, custom cabinetry, high-efficiency energy appliances with inverter technology, LED lighting, imported Spanish porcelain tiles, plus an outdoor kitchen with a gorgeous hardwood table, custom beverage center, and an under-mount prep sink. The southern wing of the home includes an attached two car garage, a laundry room, and an offset master bedroom. 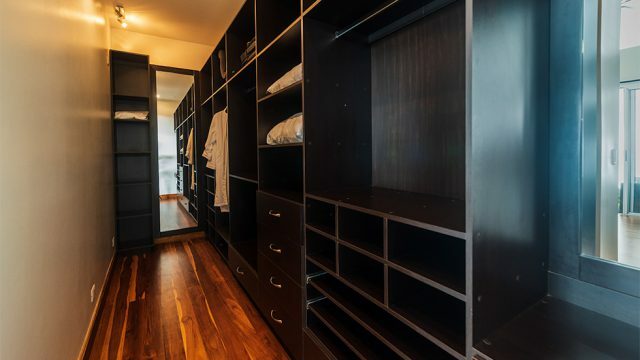 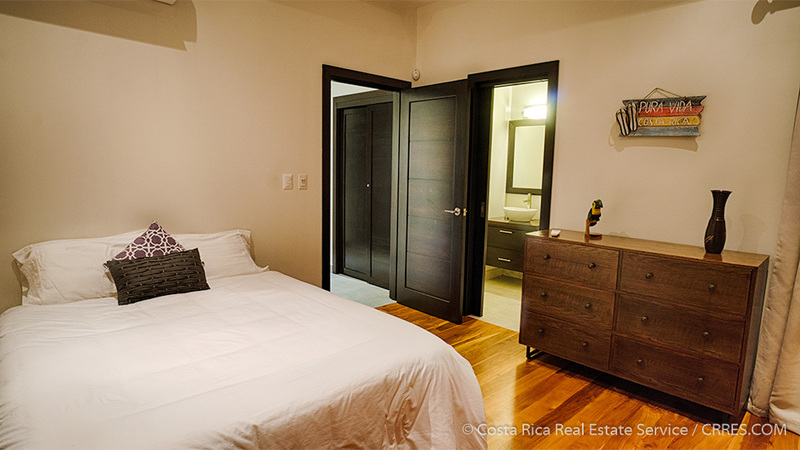 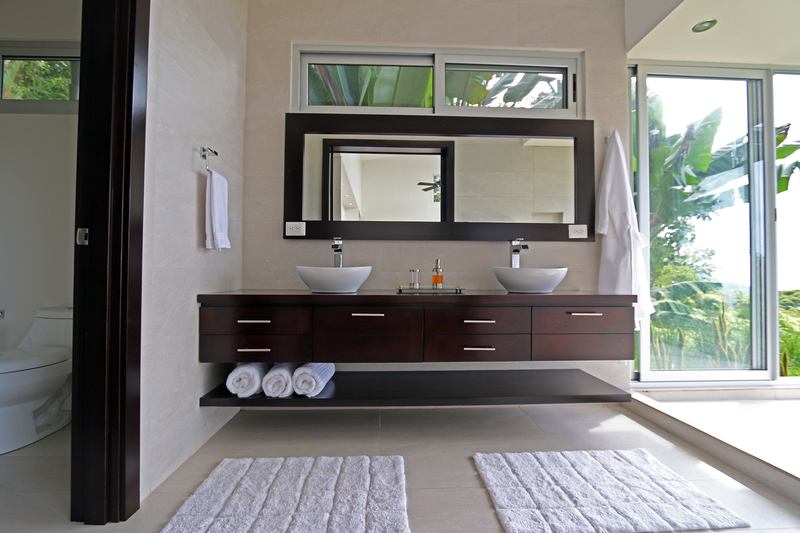 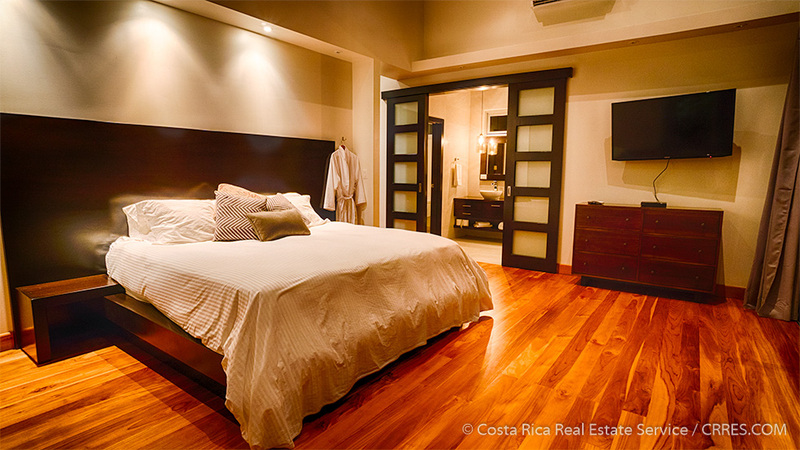 The large master bedroom includes a large walk-in closet plus a luxurious bathroom with an ocean view shower. 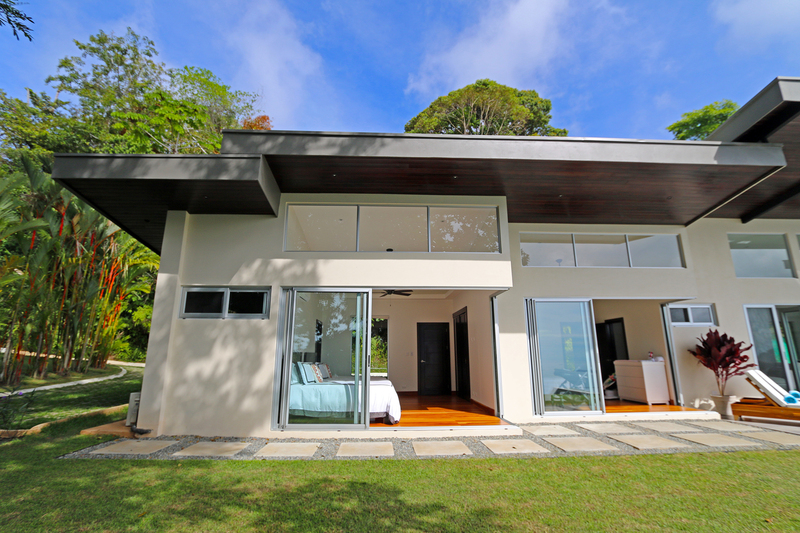 The northern wing of the home includes two spacious ocean view guest suites with a private parking area. 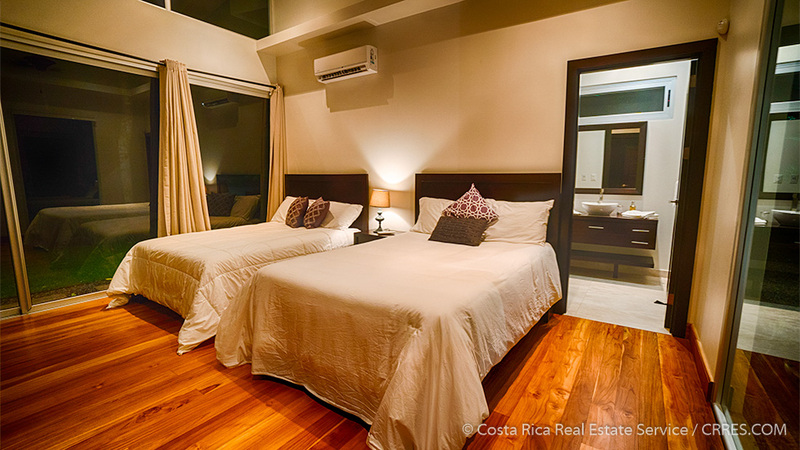 All of the bedrooms include private bathrooms, hardwood Teak floors and direct access to the pool area. 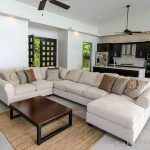 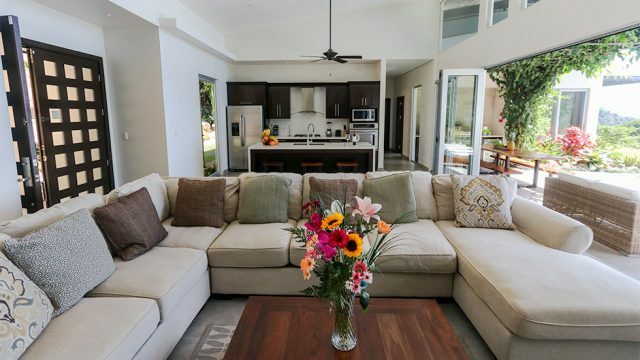 The home is tastefully furnished and includes satellite television hookups, high-speed internet capability plus a new security alarm with a camera system. 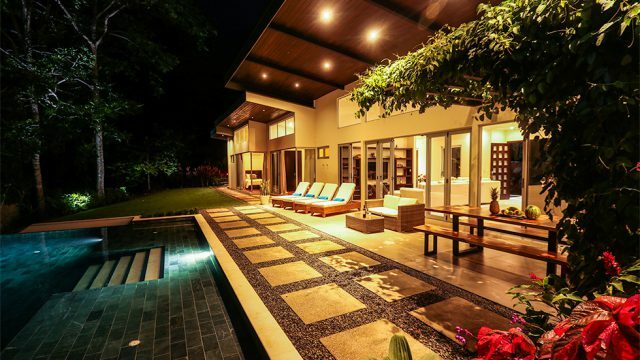 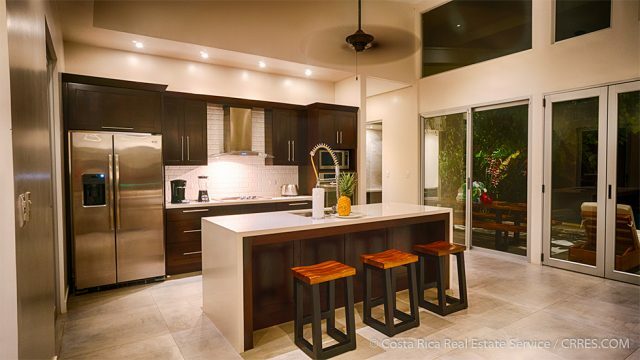 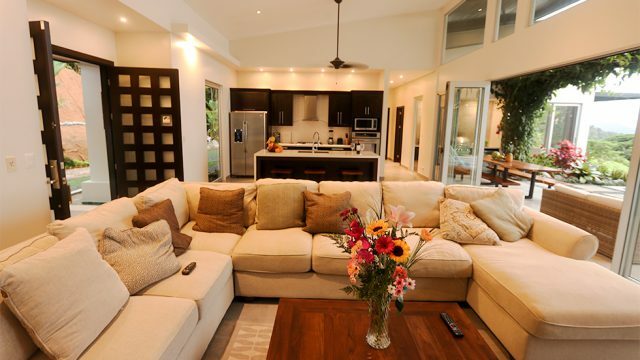 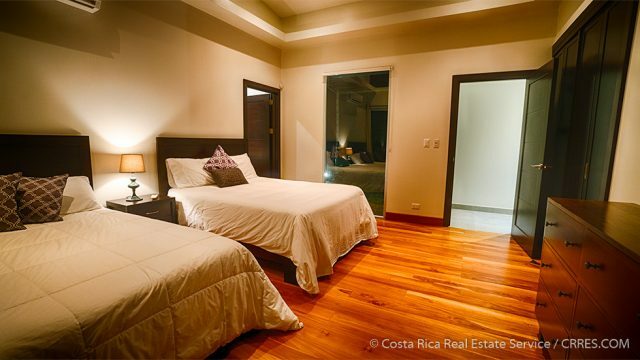 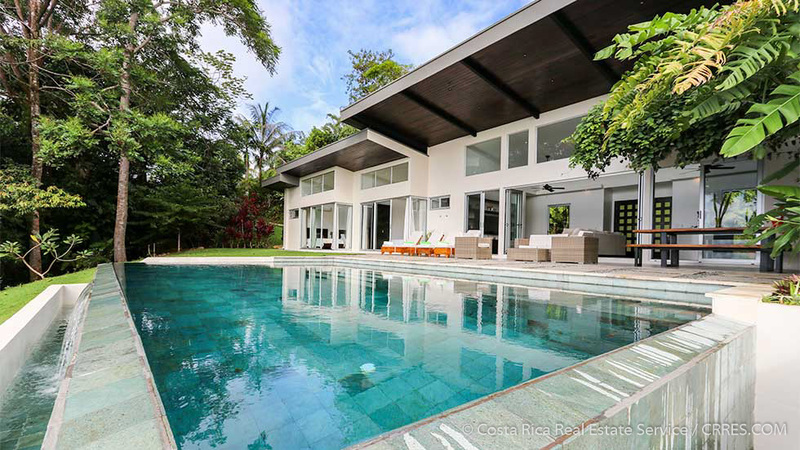 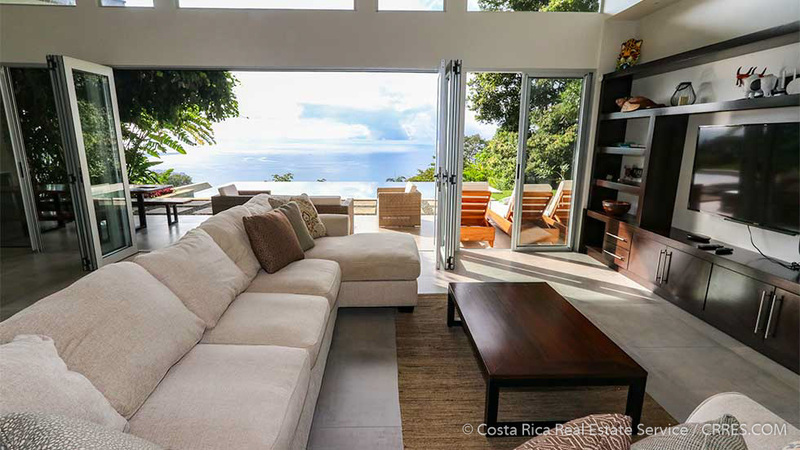 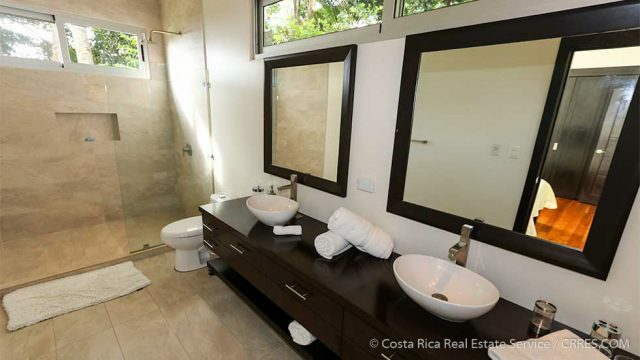 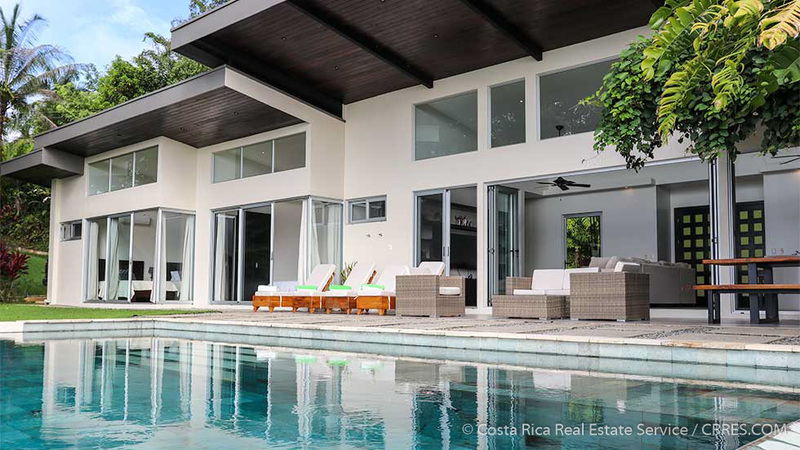 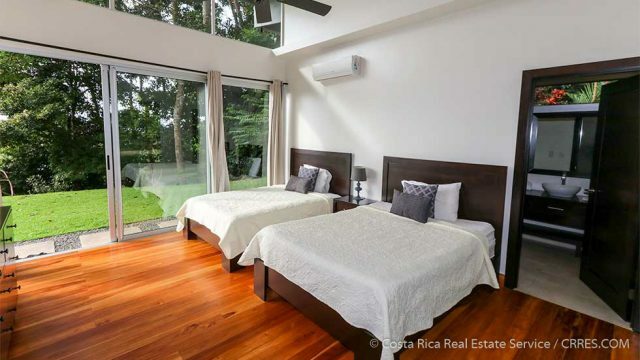 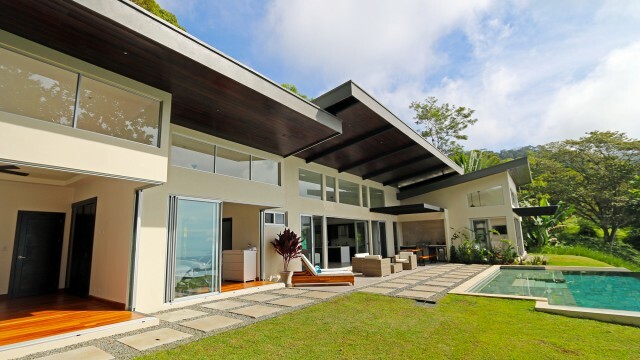 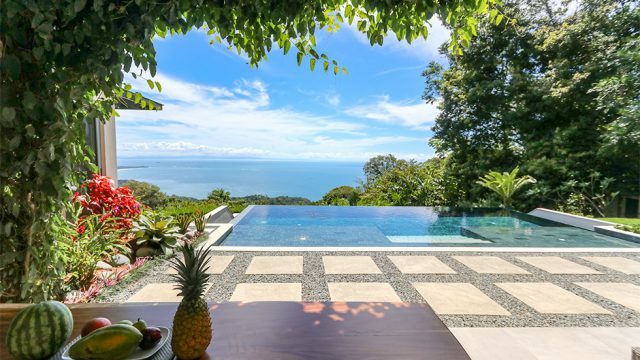 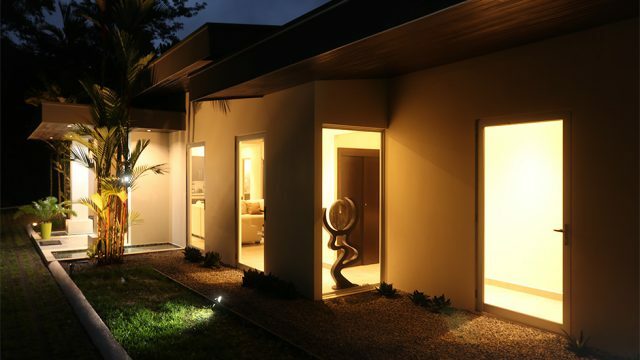 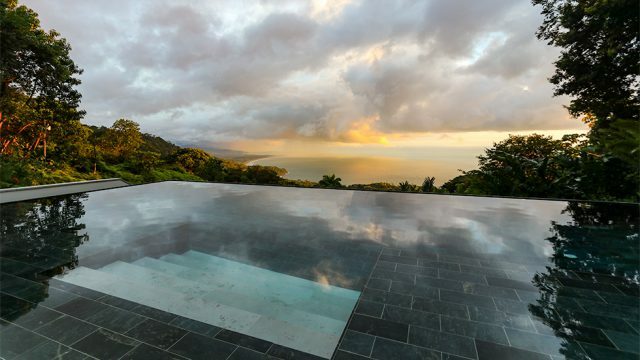 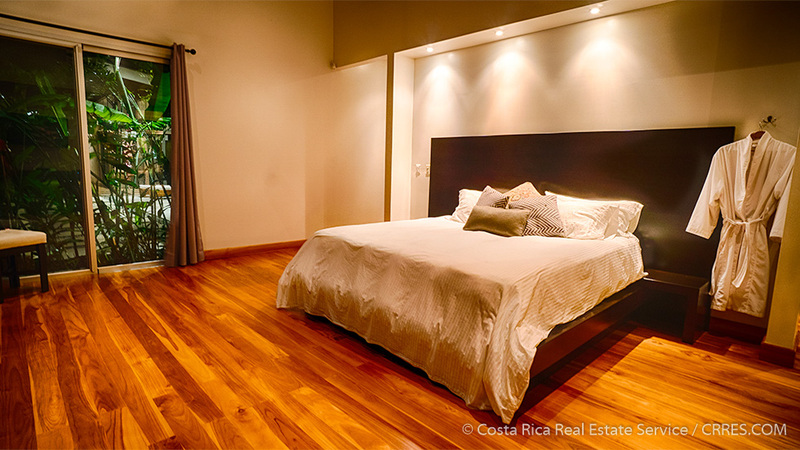 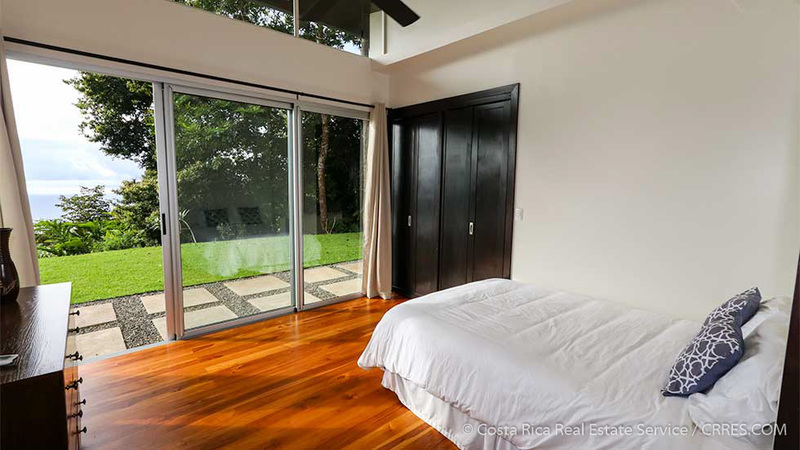 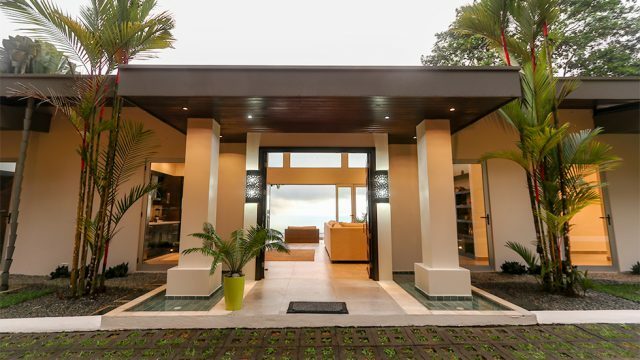 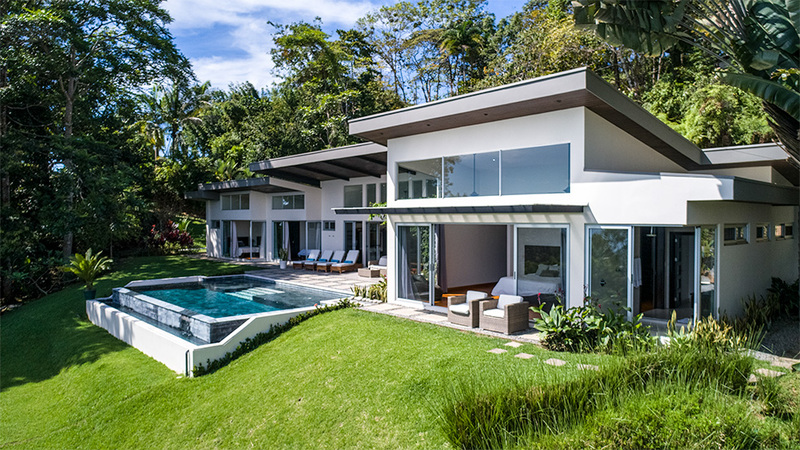 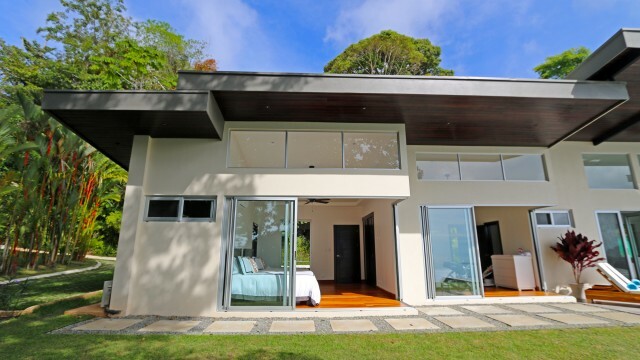 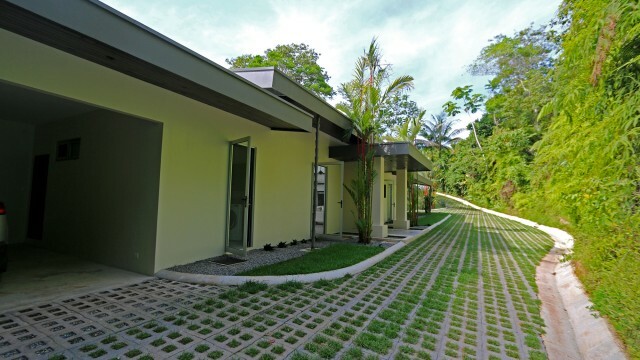 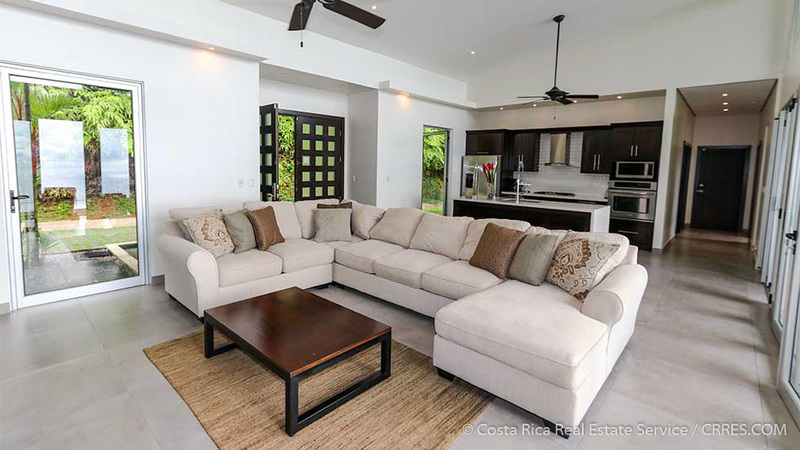 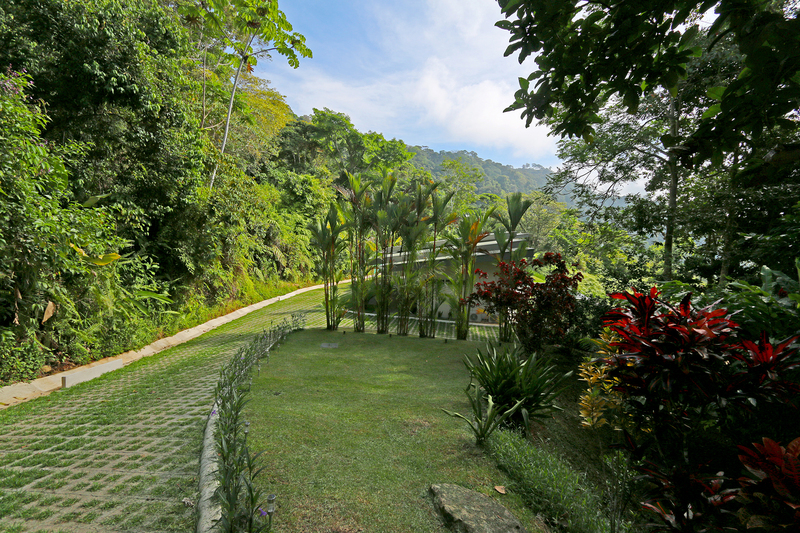 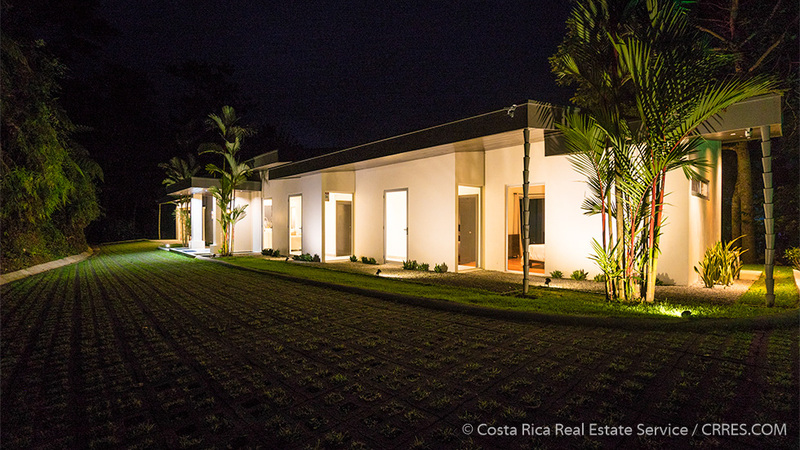 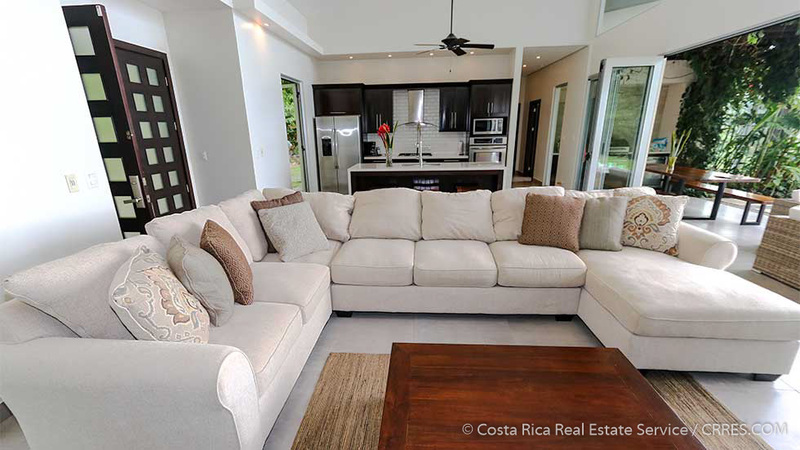 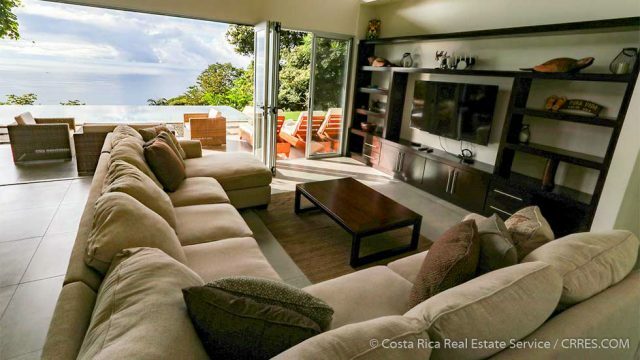 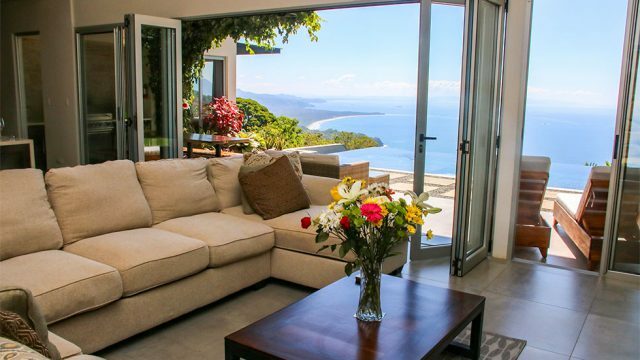 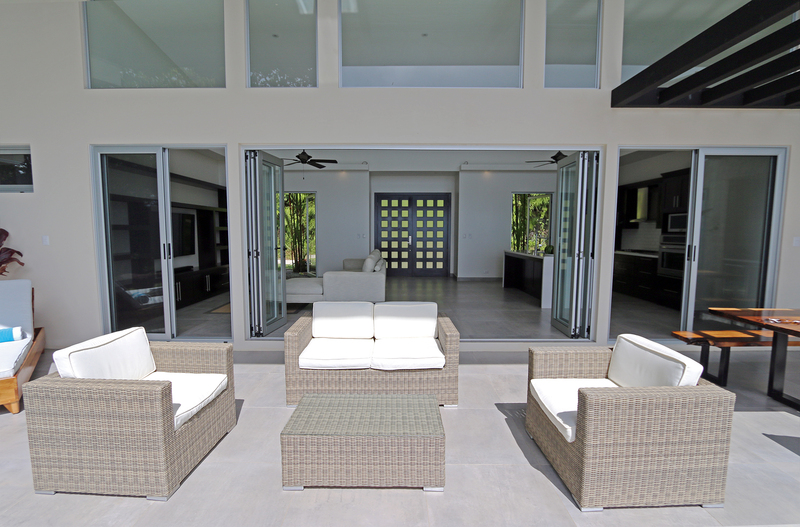 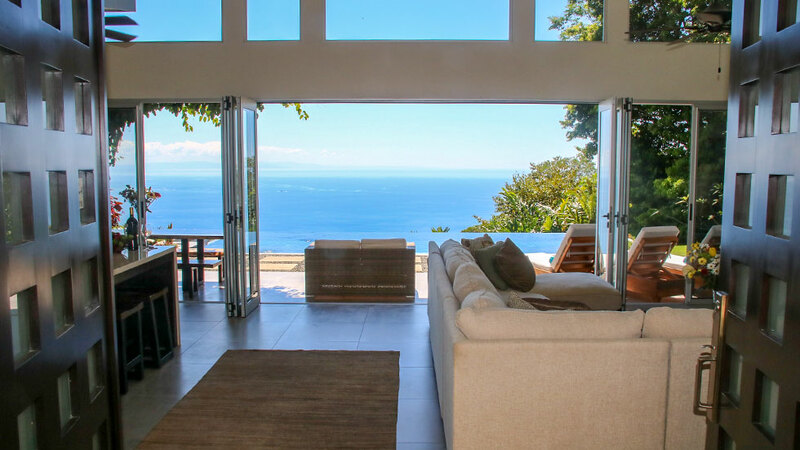 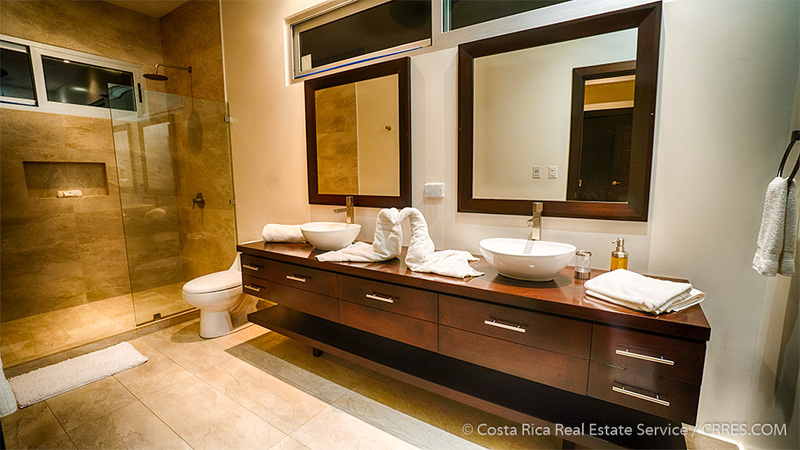 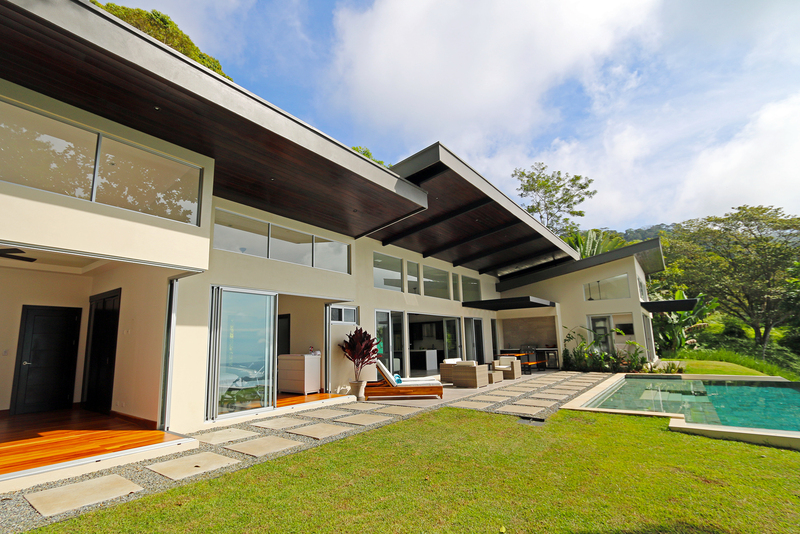 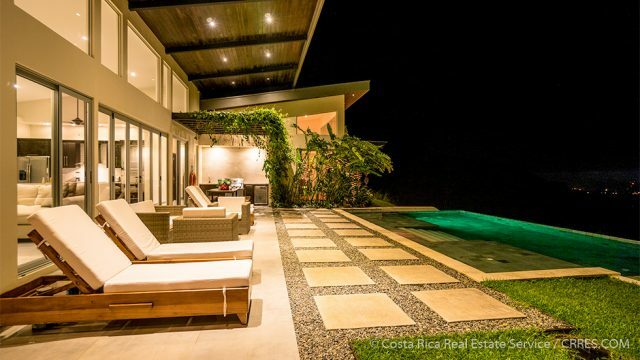 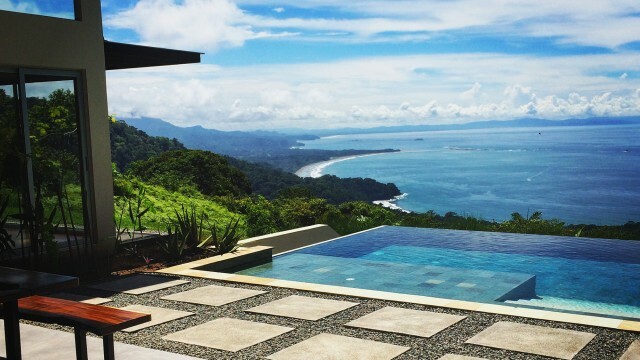 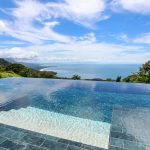 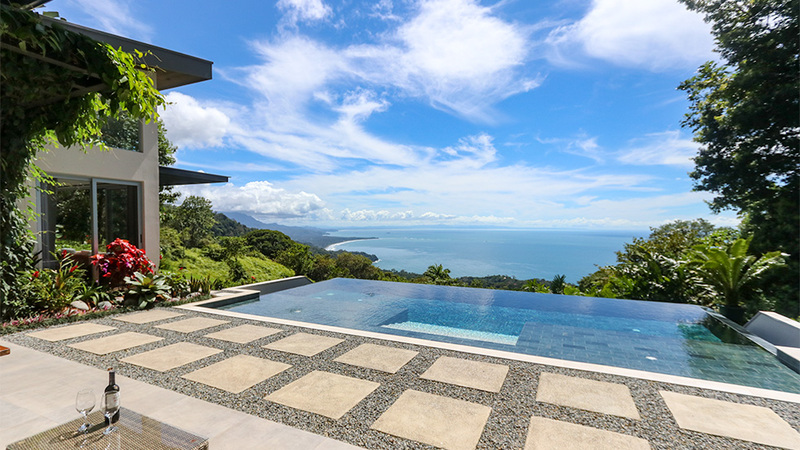 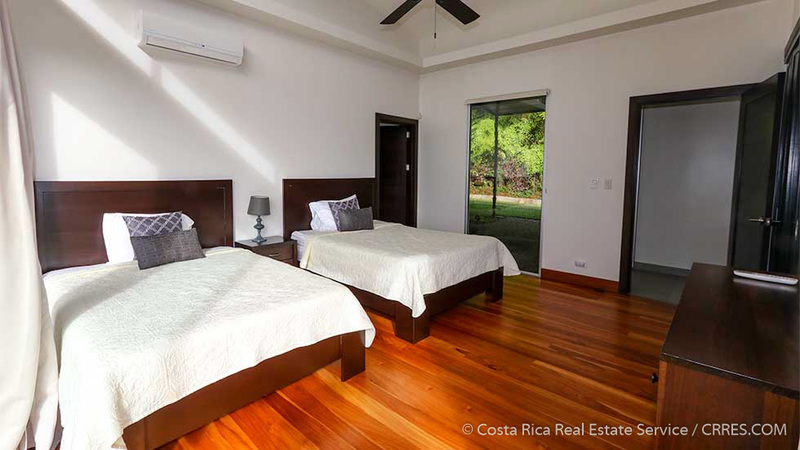 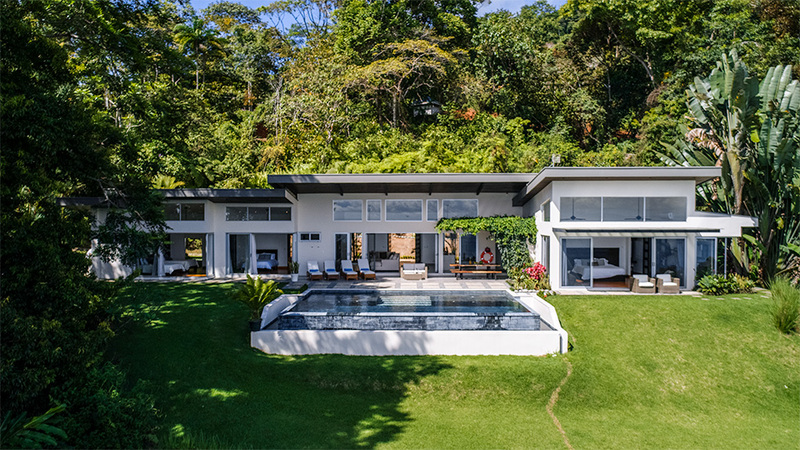 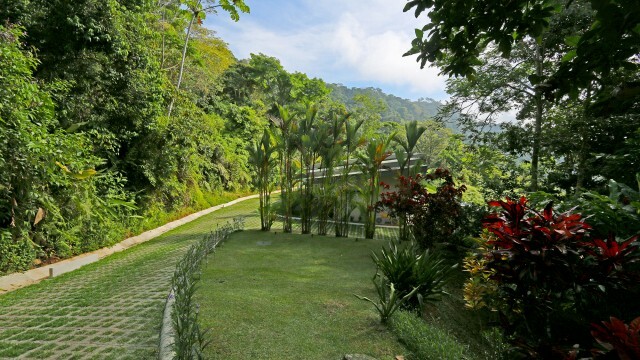 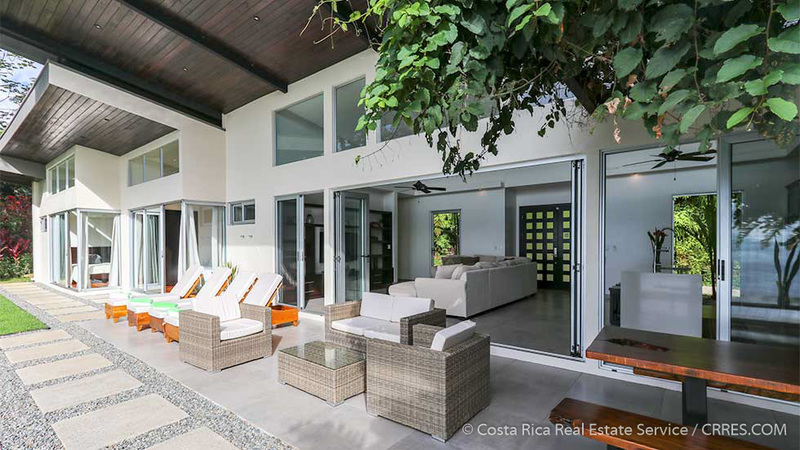 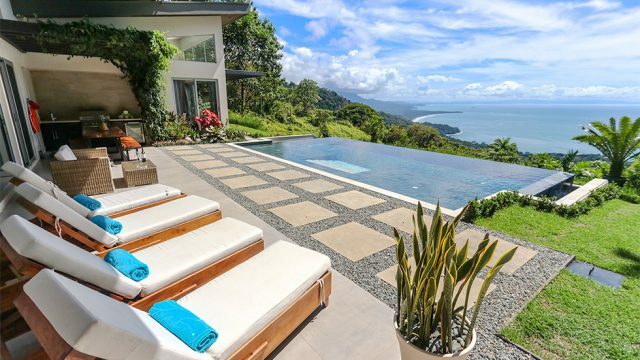 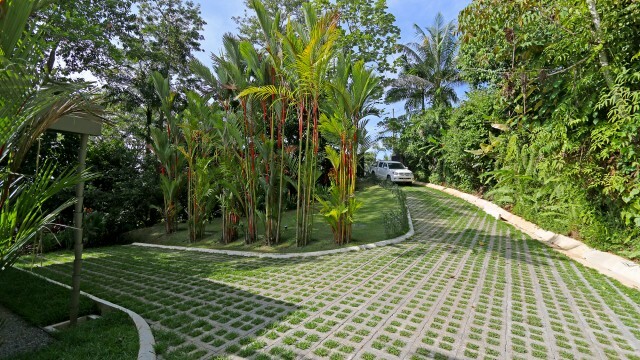 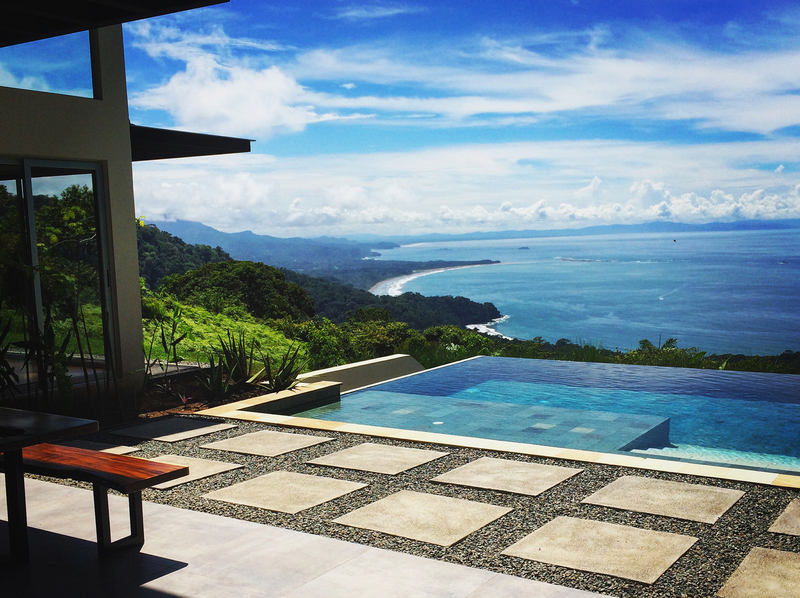 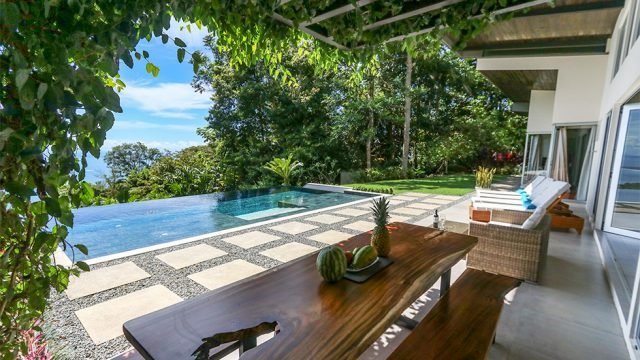 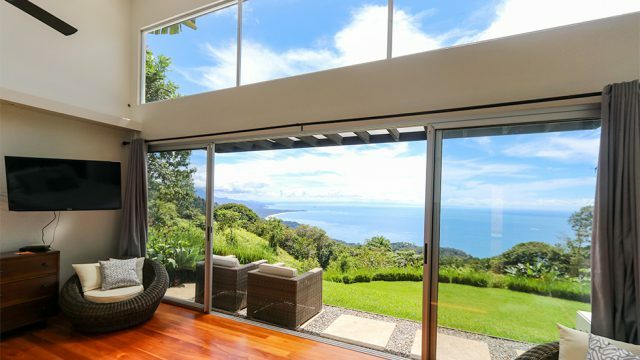 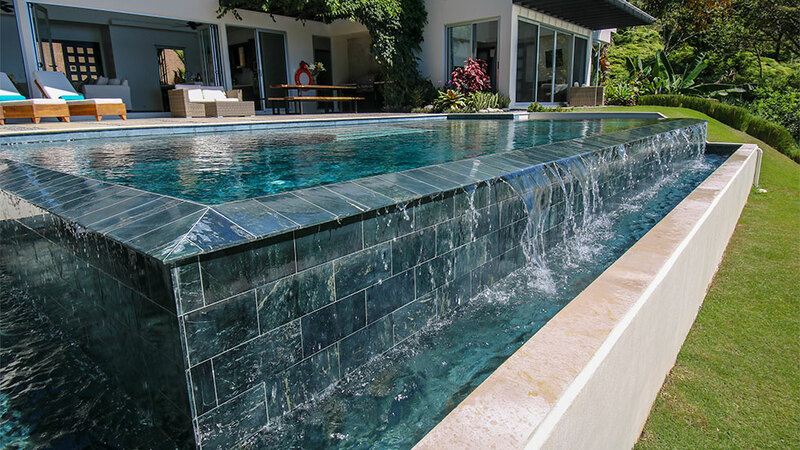 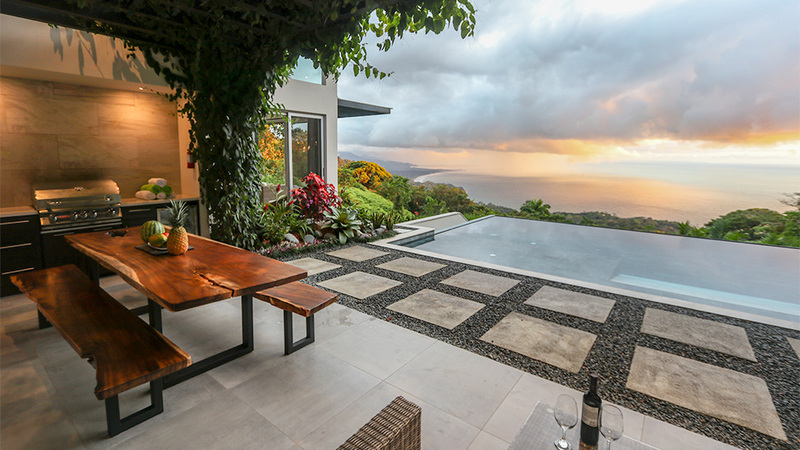 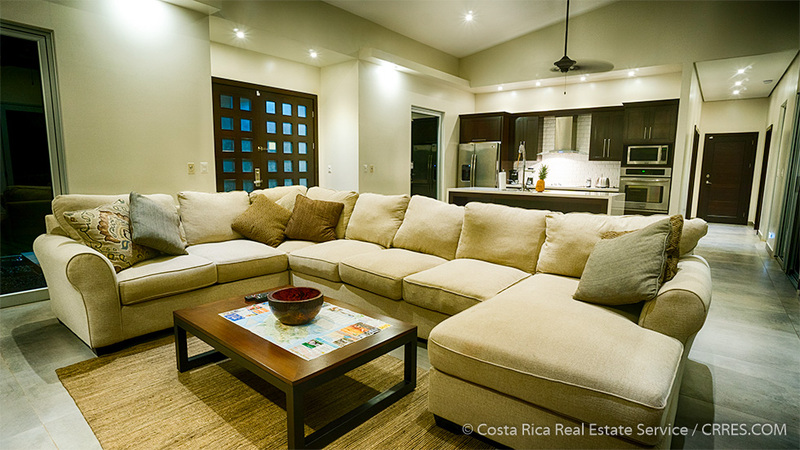 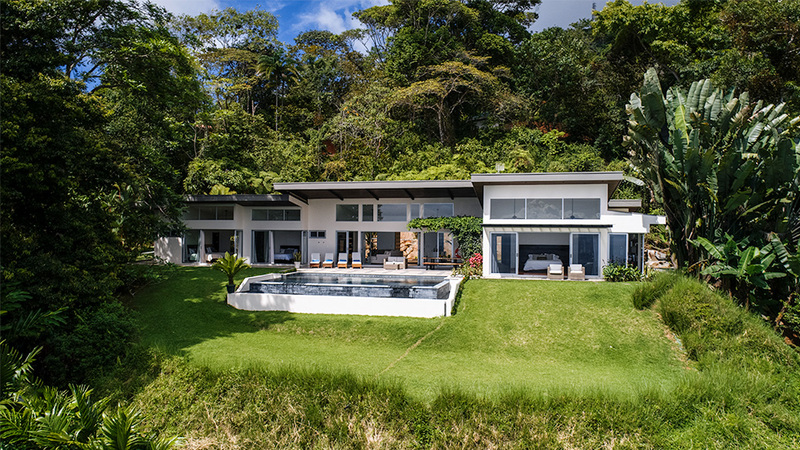 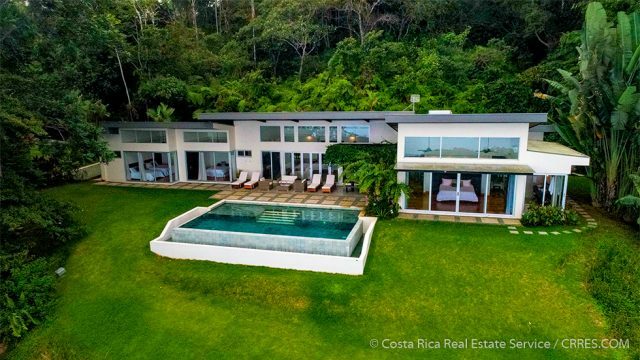 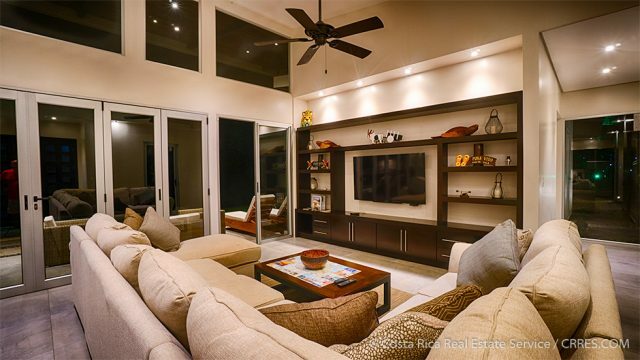 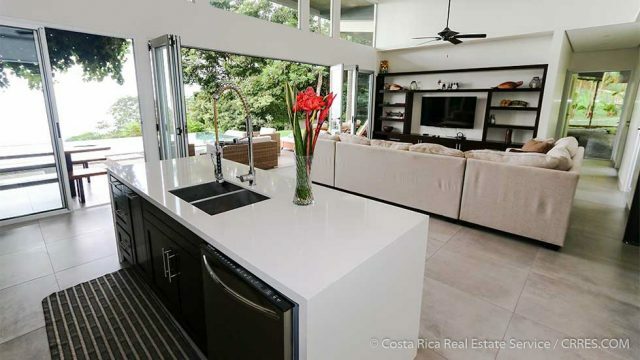 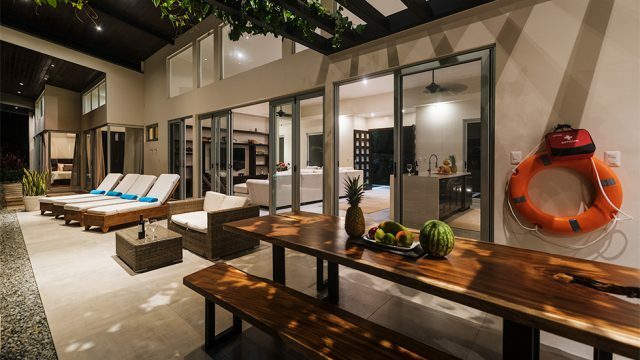 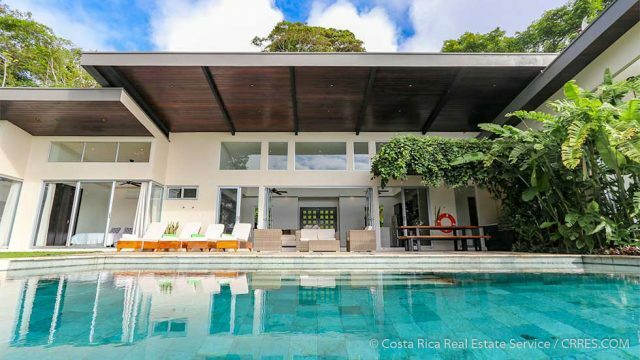 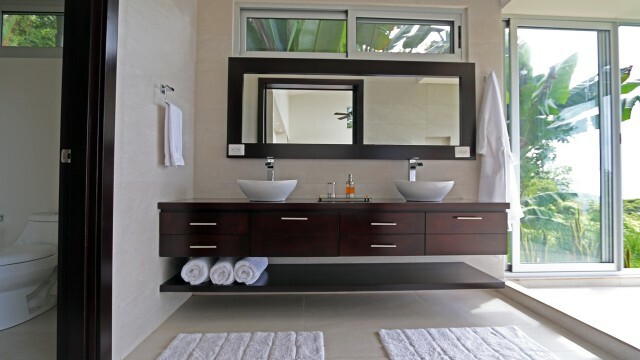 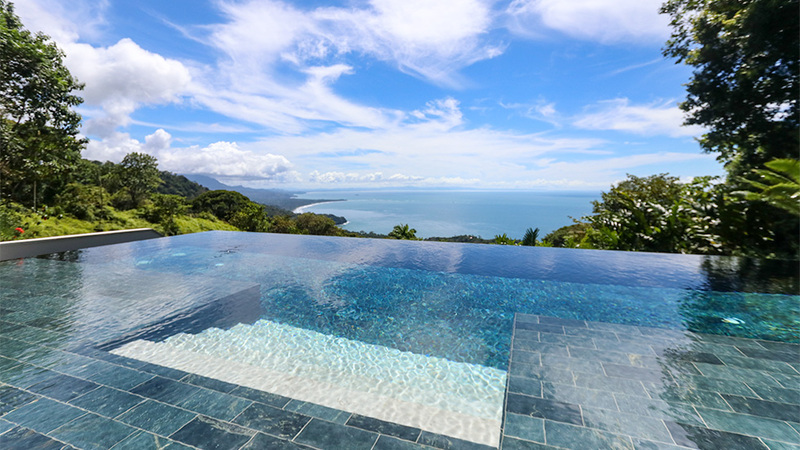 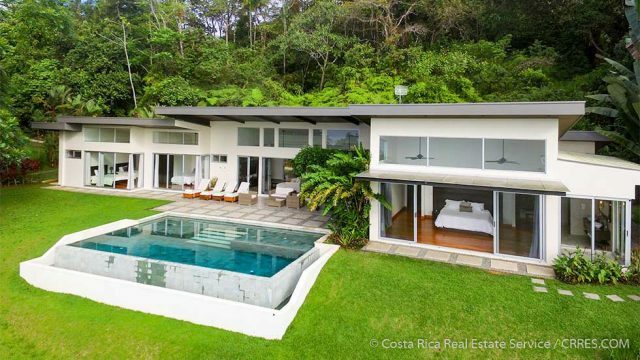 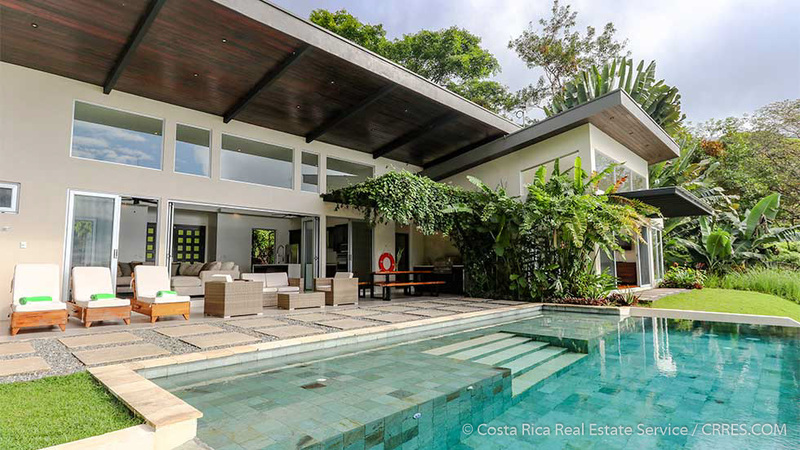 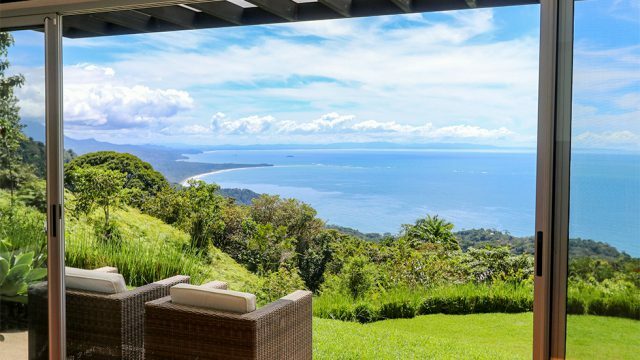 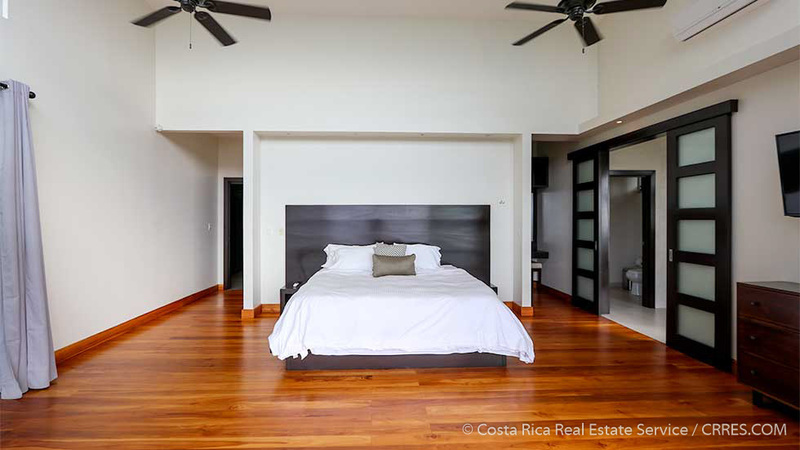 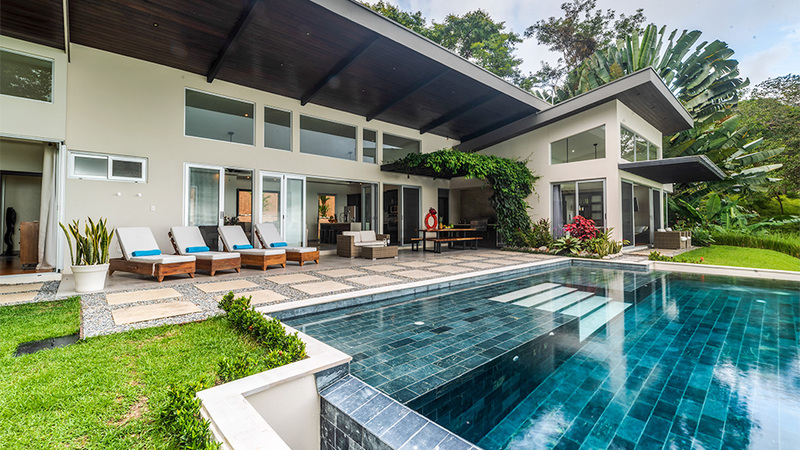 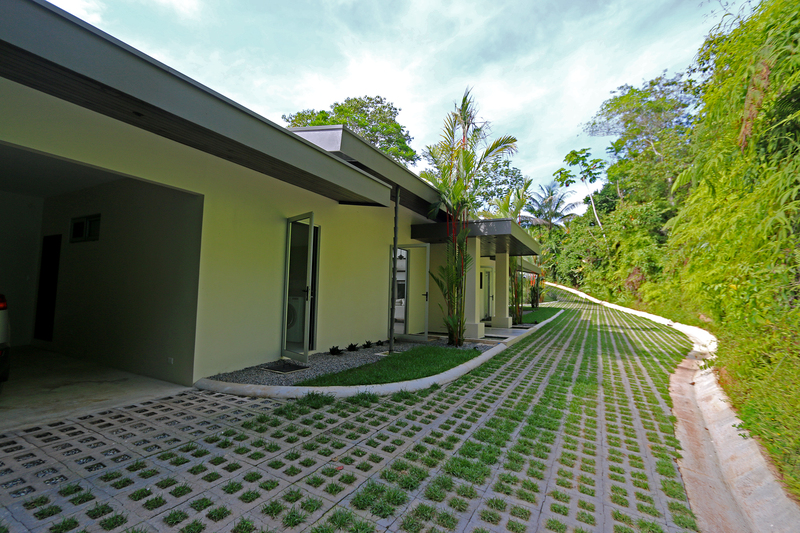 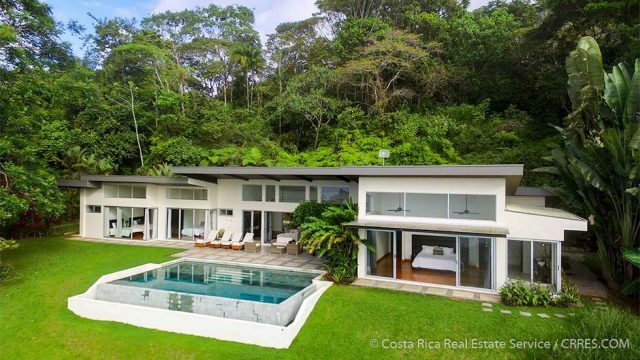 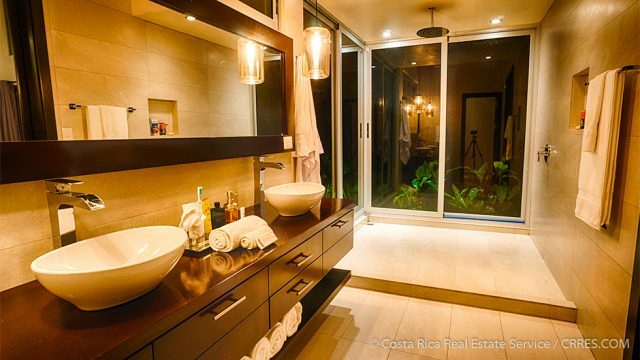 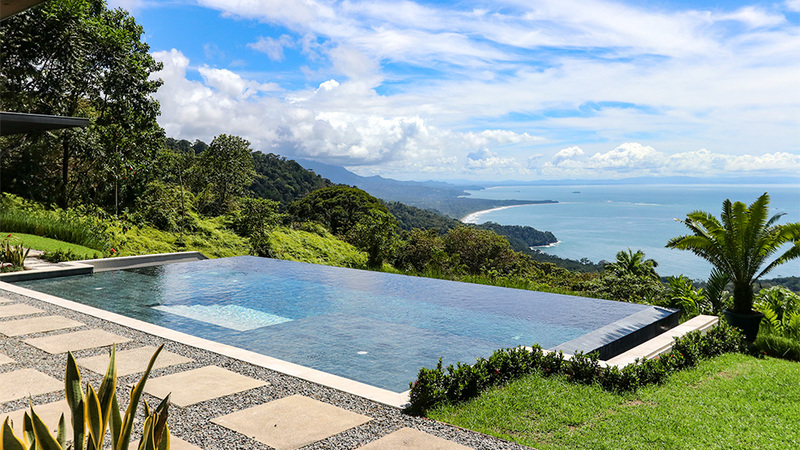 This home has everything you could ask for in a luxury property in Southern Costa Rica. 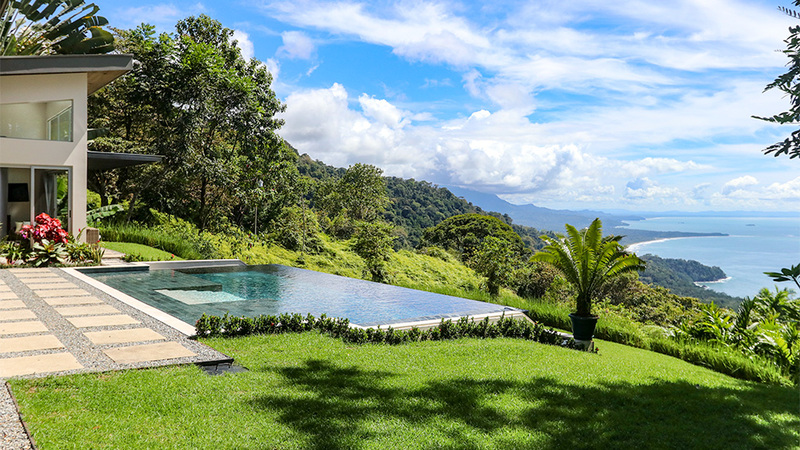 It has incredible views, the prime location and the type of quality that would satisfy the needs of the most discriminating buyers. 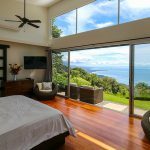 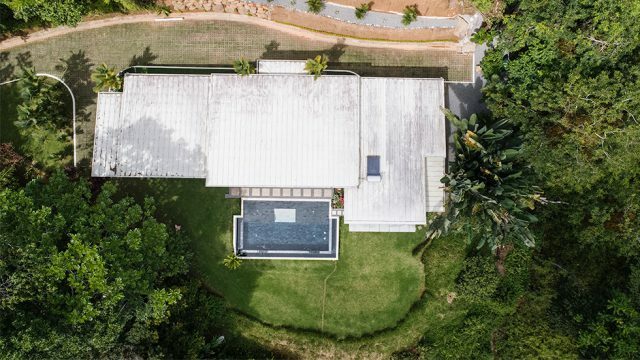 Whether you are looking for a personal residence or a high-end income producing vacation rental, this property hits the mark either way. 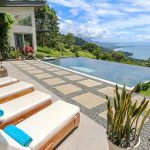 From day one, since this home first hit the market as a luxury vacation rental, it has returned a steady return on investment! 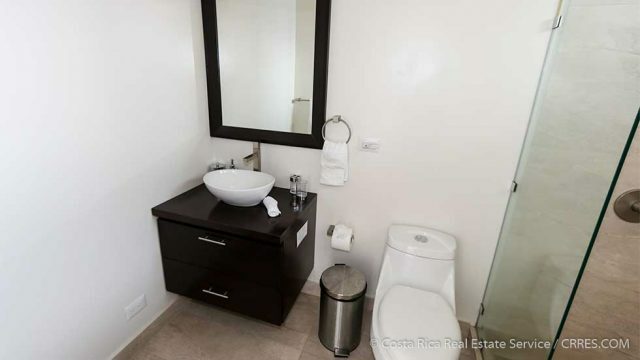 The proven rental history is solid and details will be provided to qualified buyers. 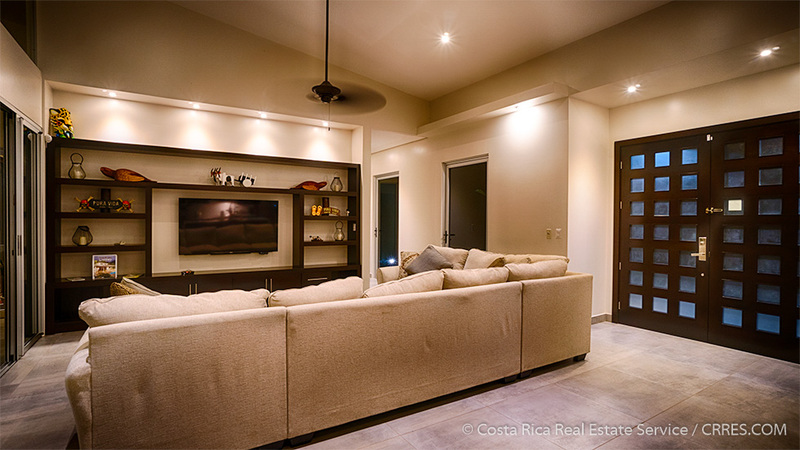 Simply put, we love this luxury home and after you take a tour, we know that you will feel the same.